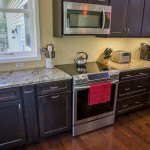 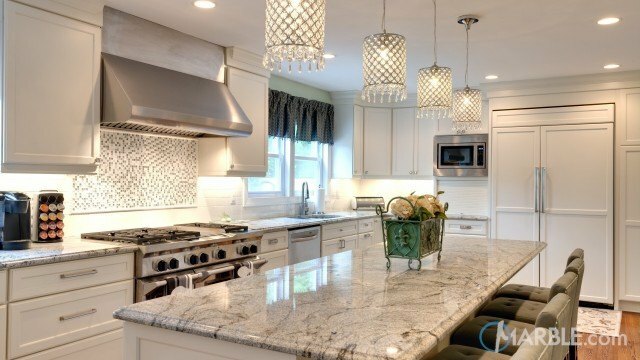 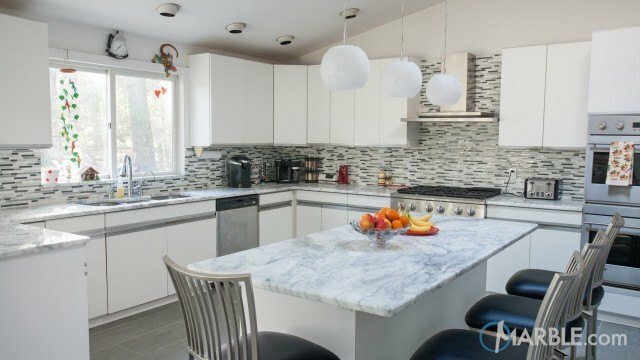 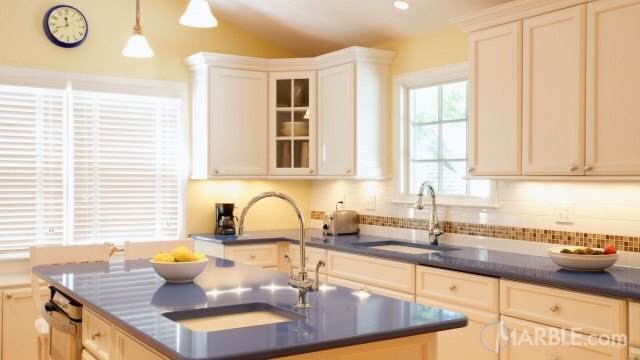 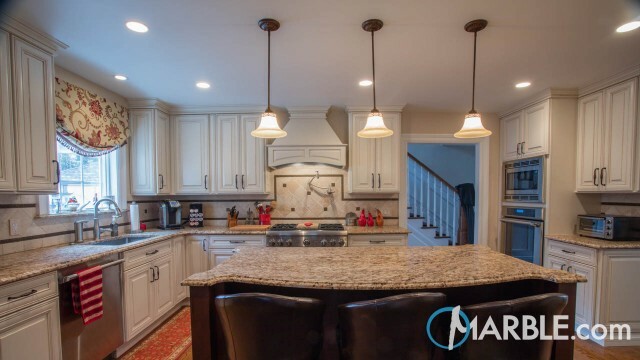 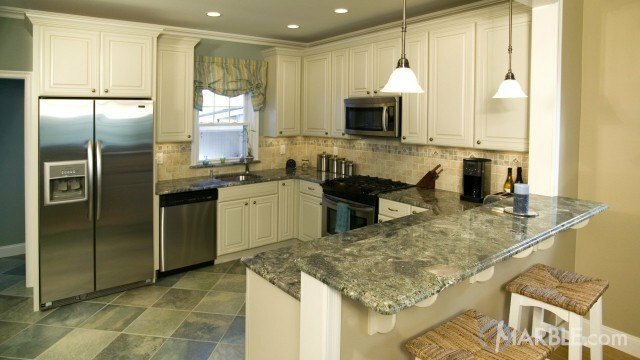 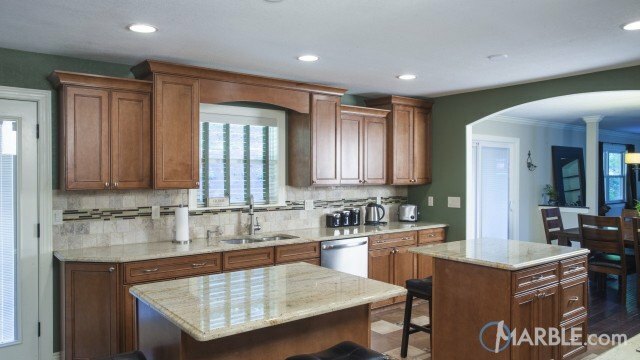 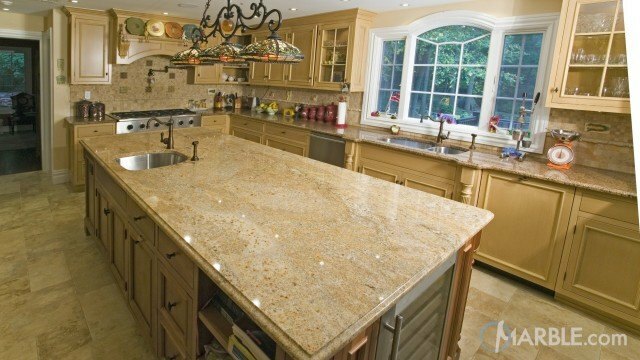 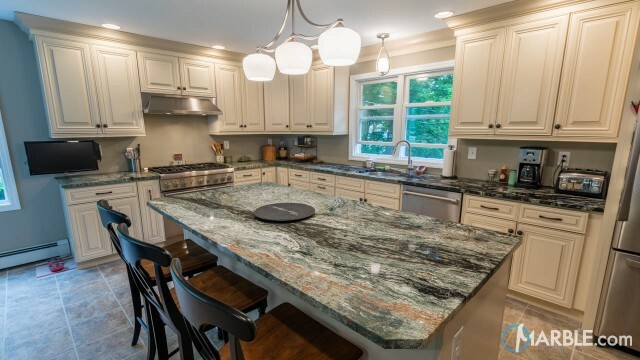 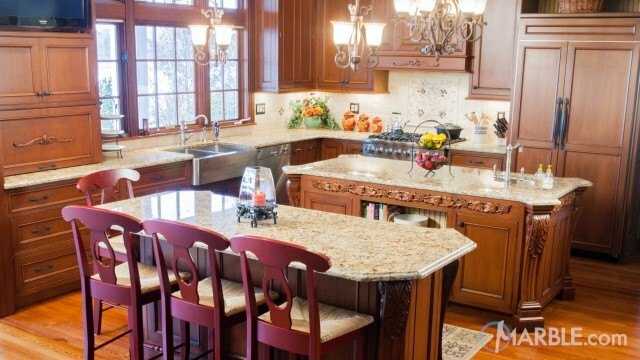 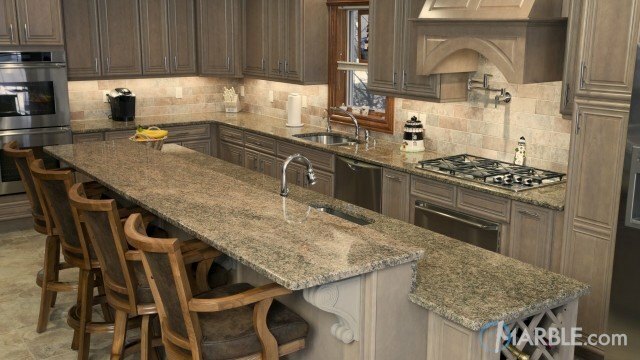 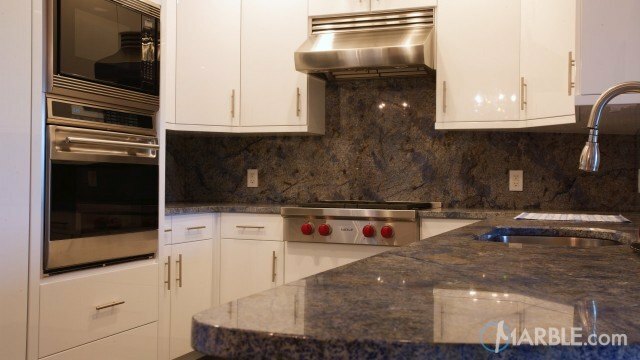 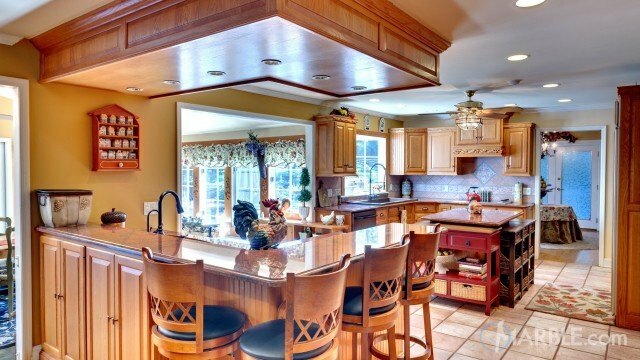 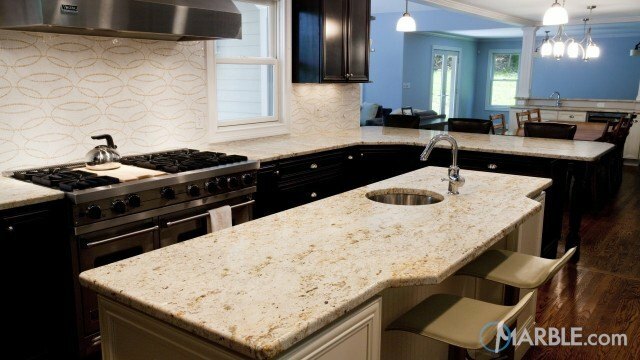 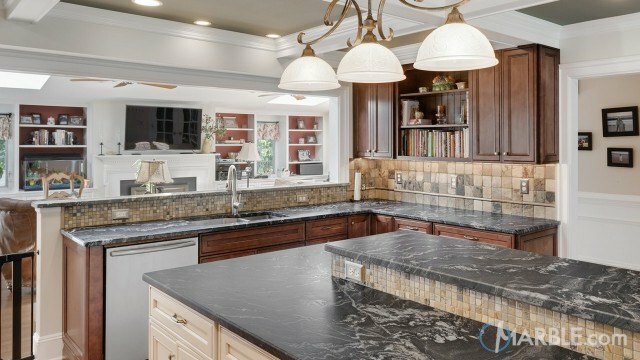 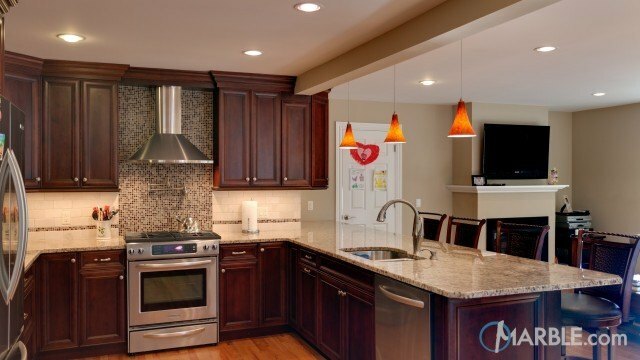 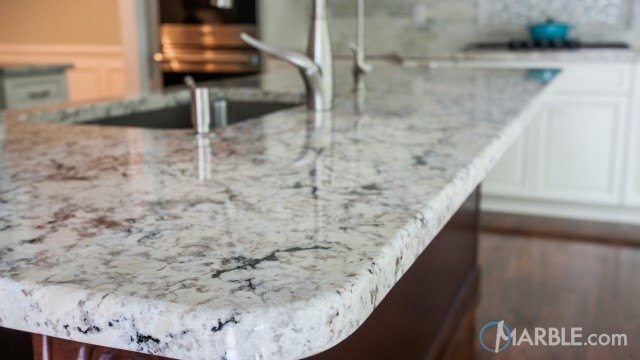 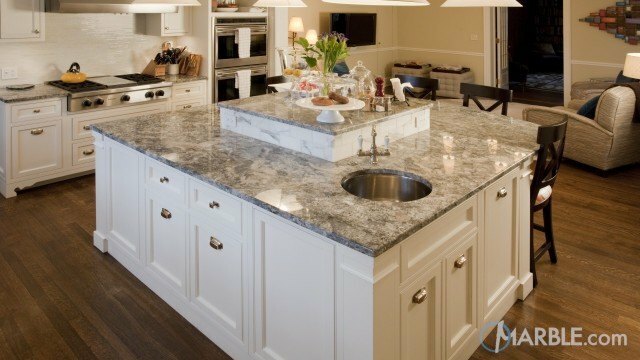 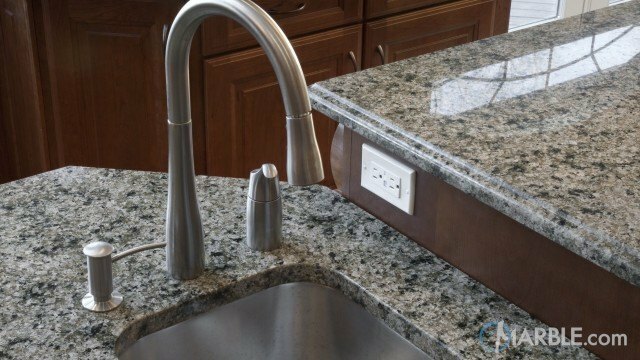 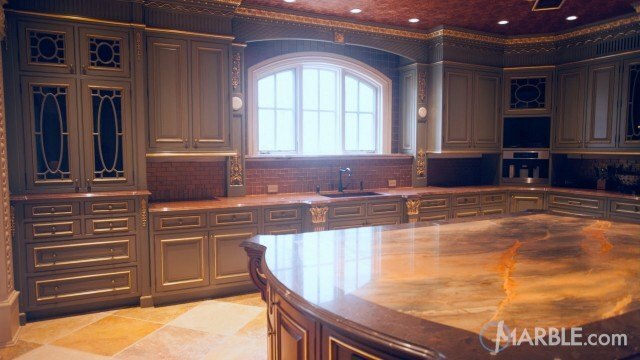 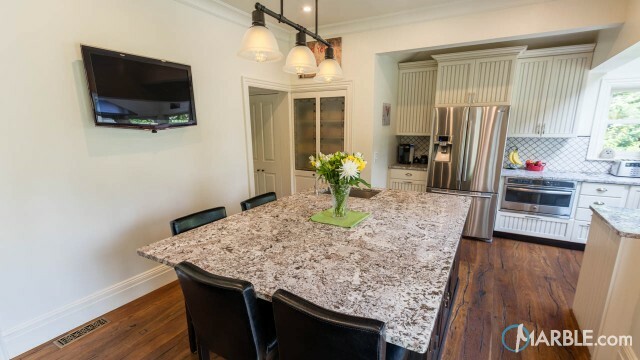 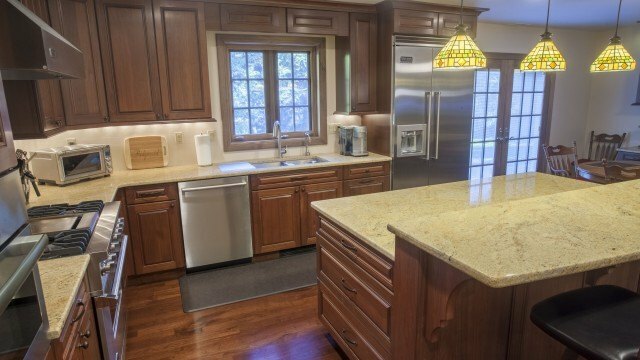 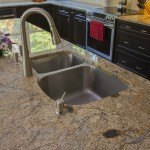 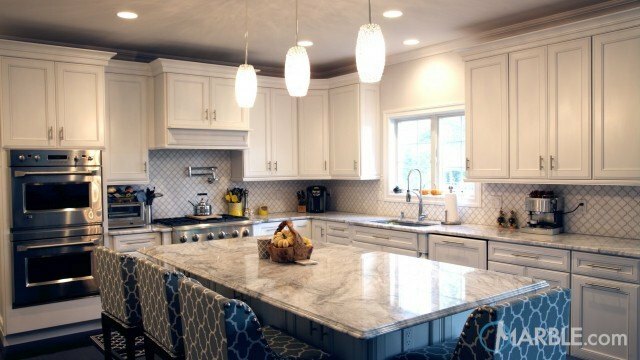 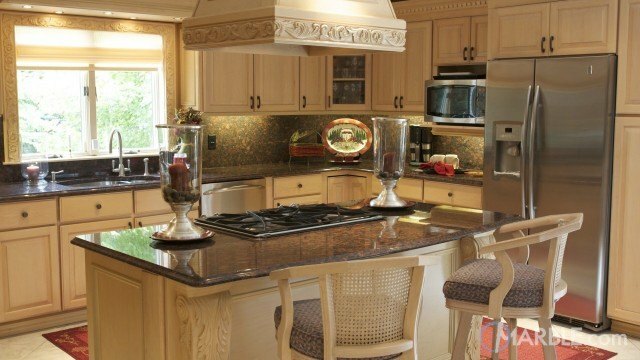 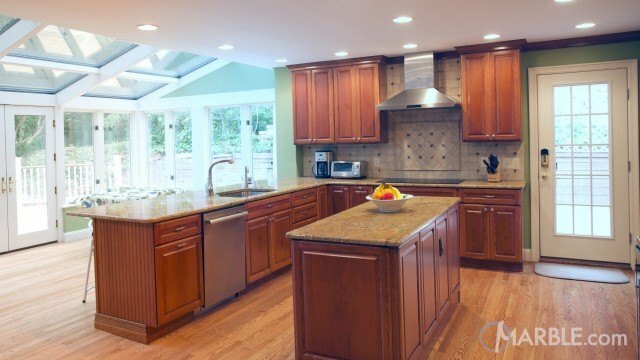 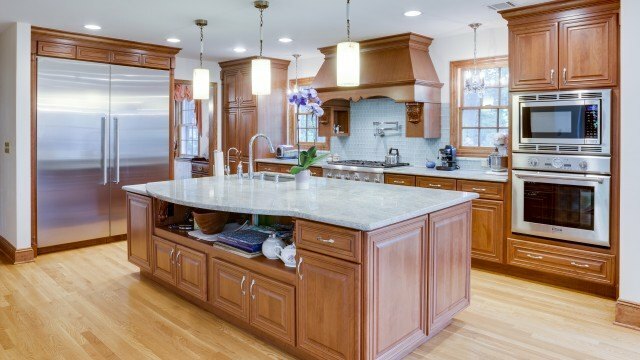 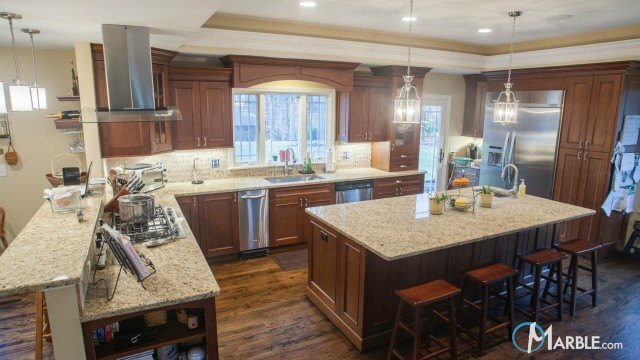 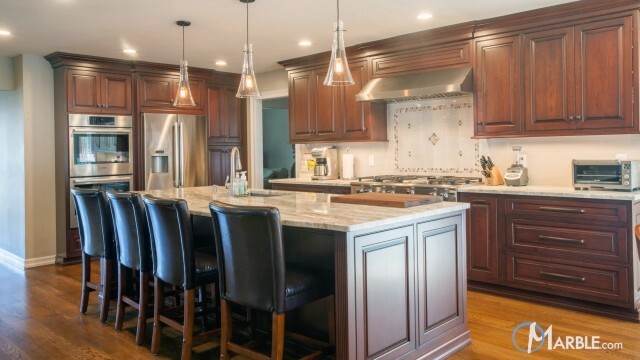 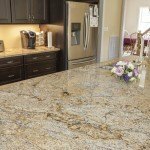 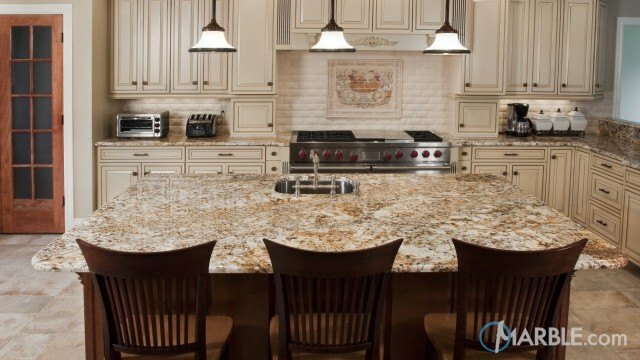 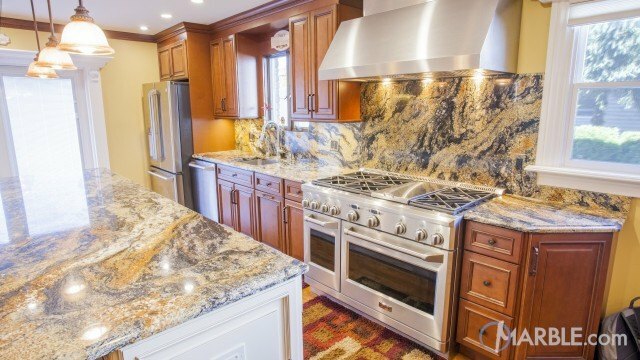 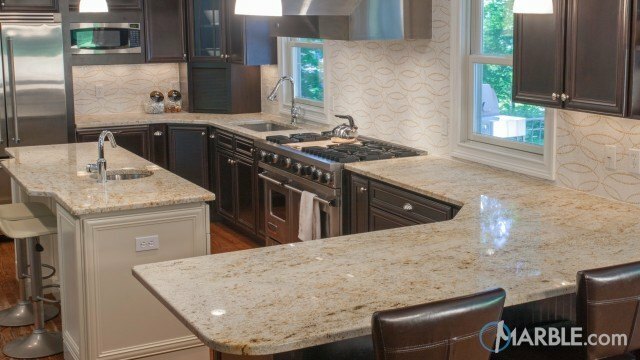 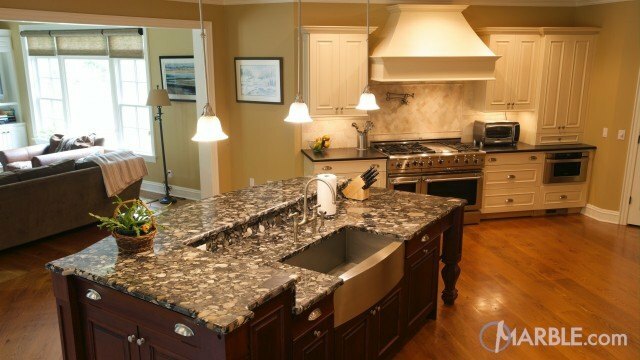 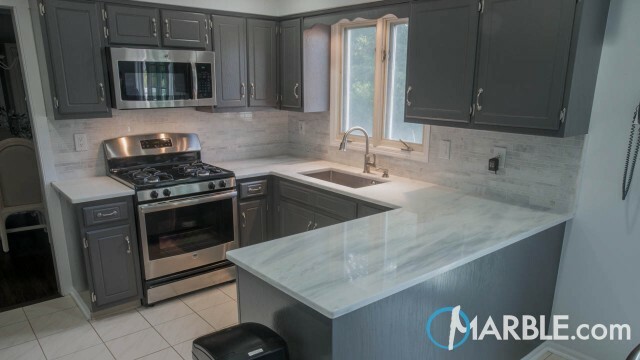 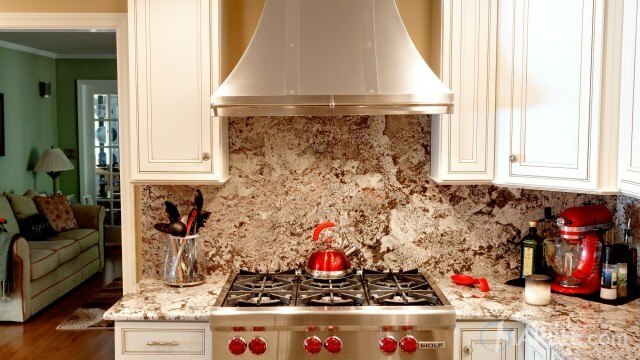 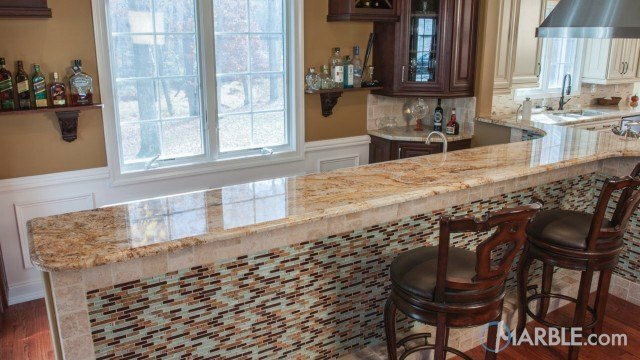 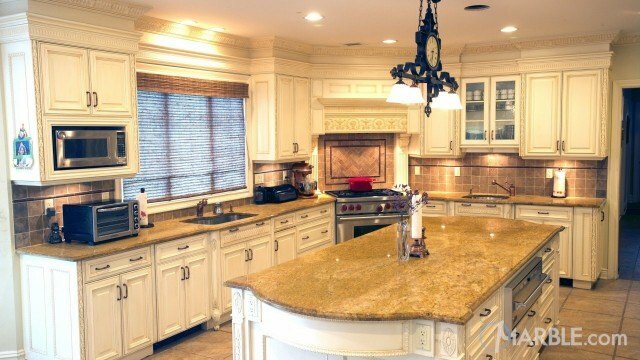 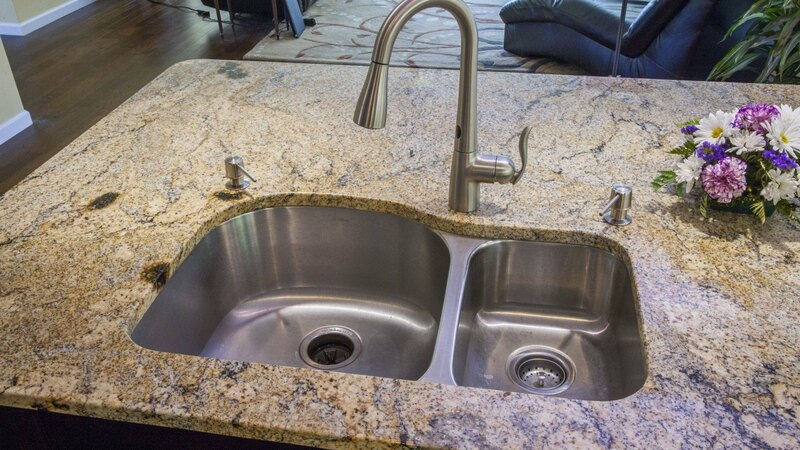 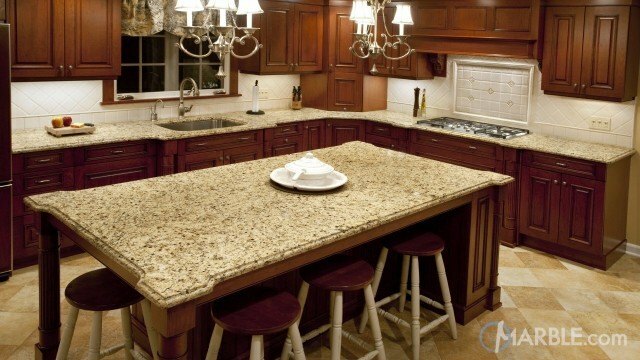 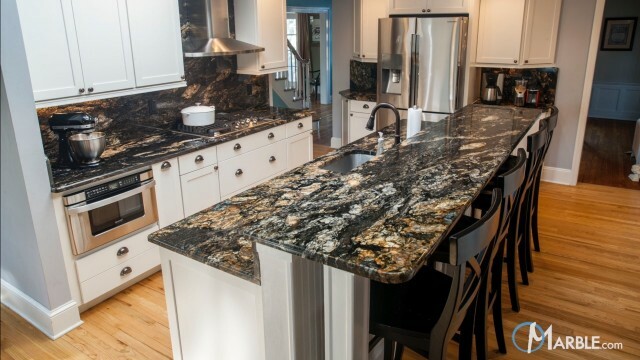 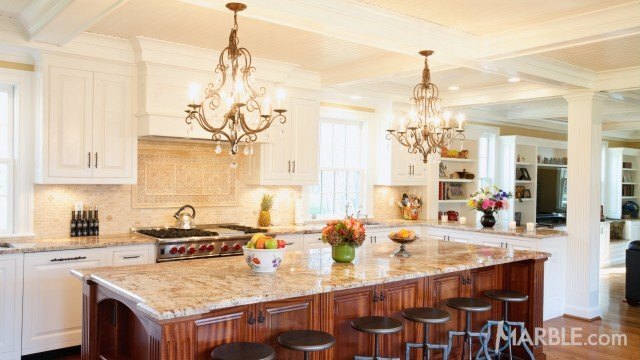 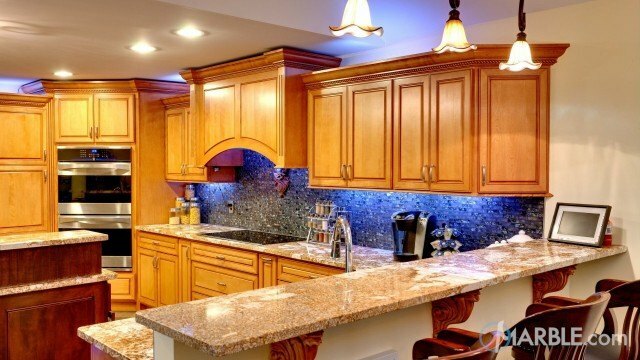 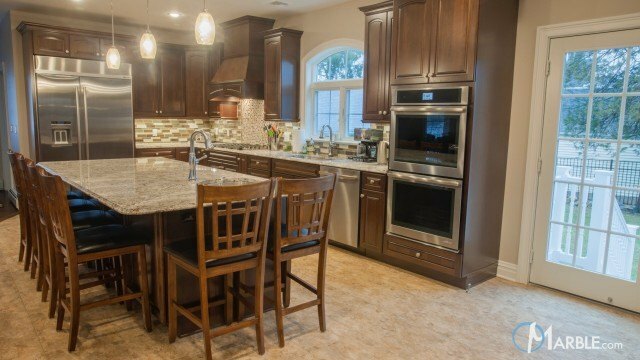 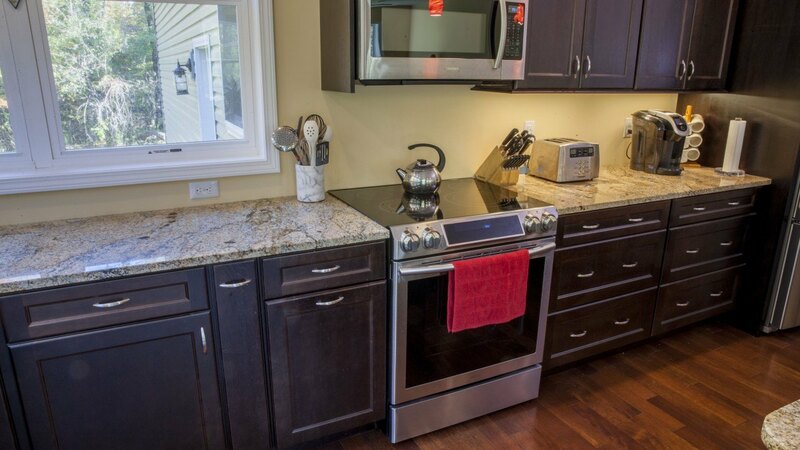 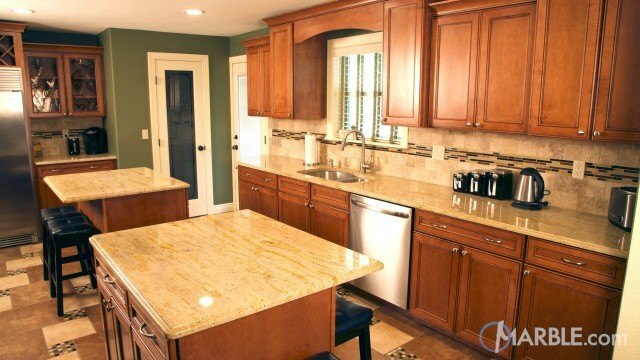 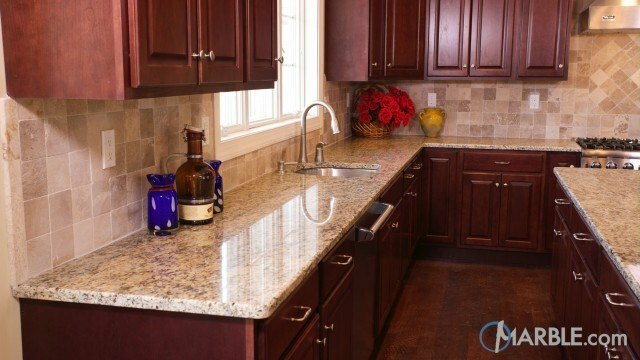 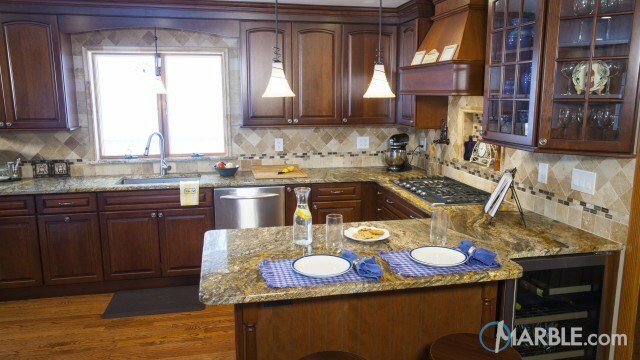 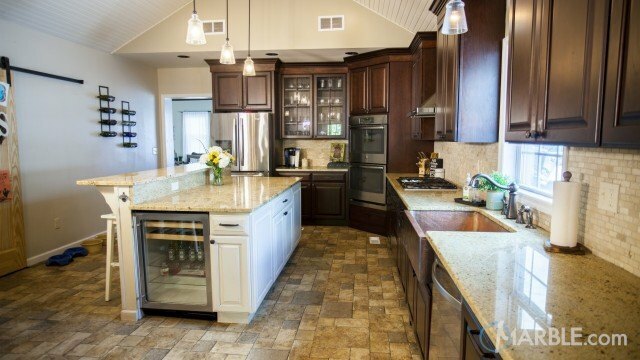 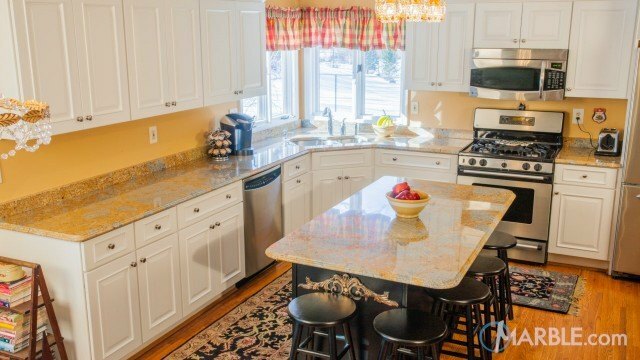 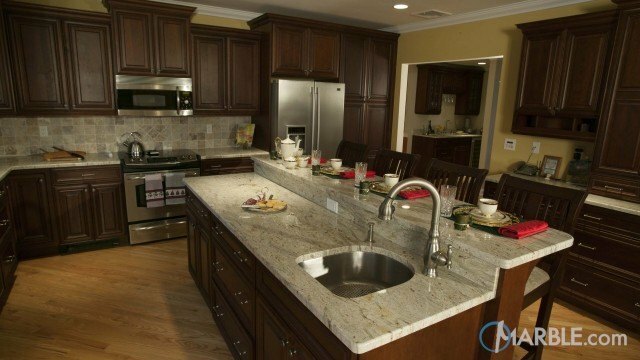 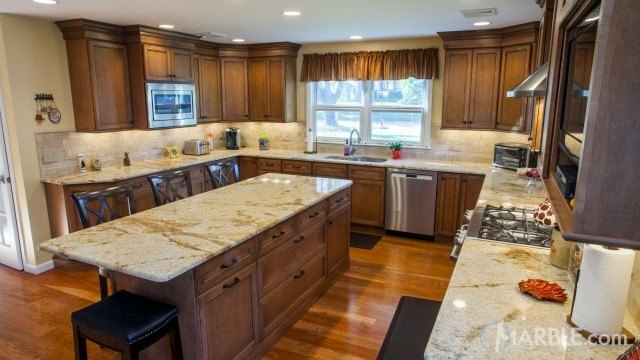 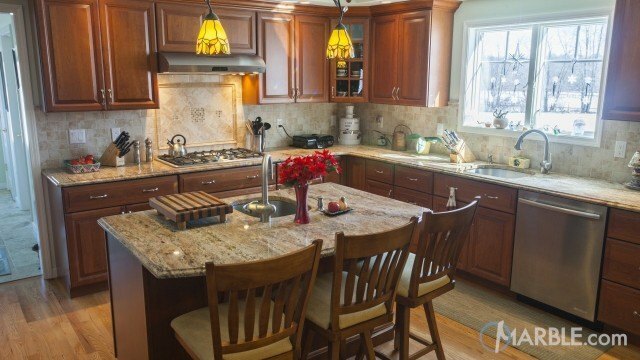 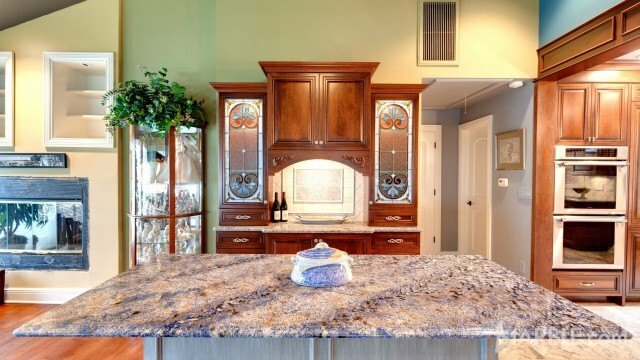 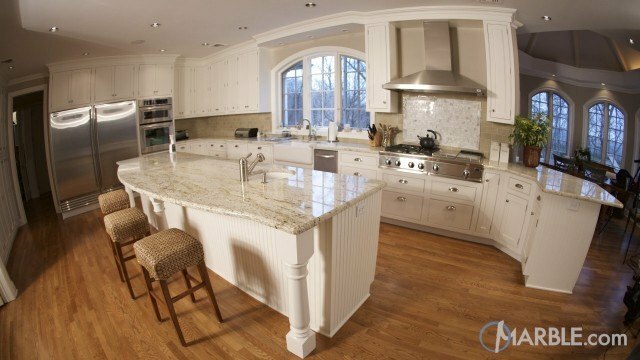 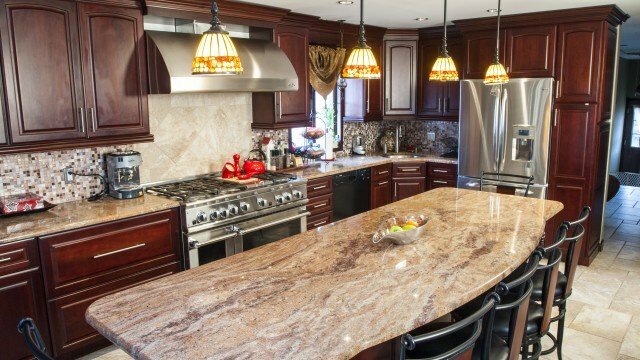 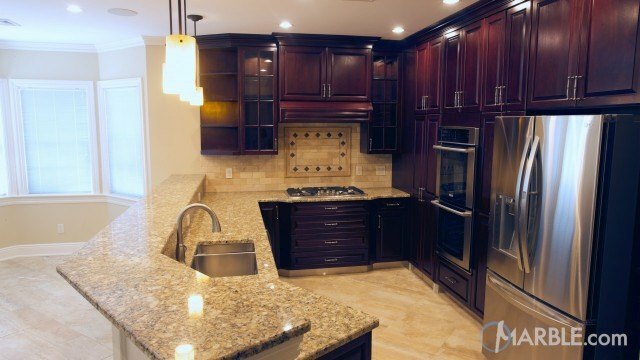 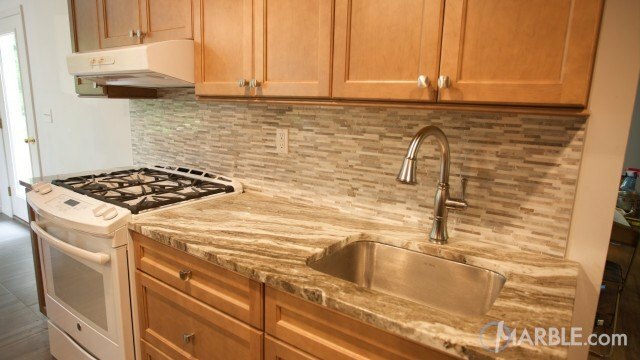 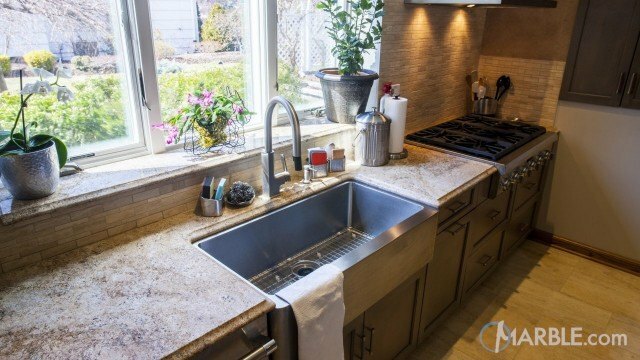 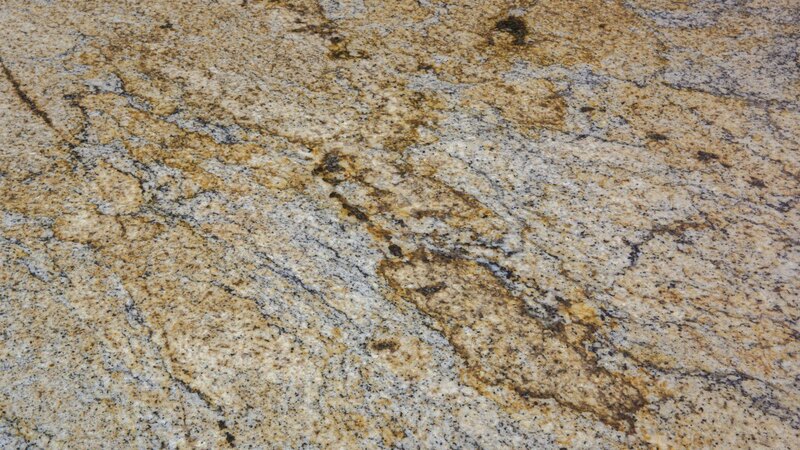 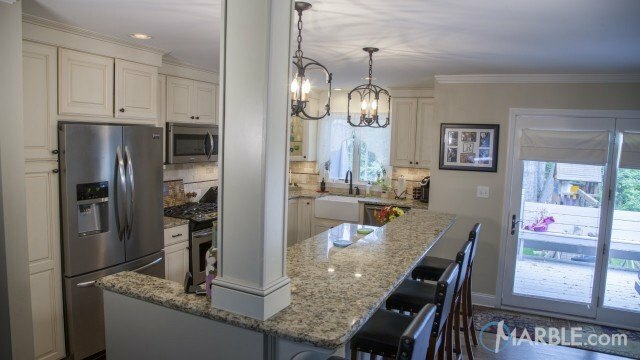 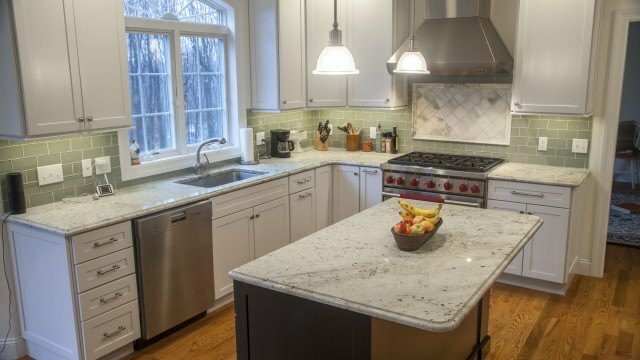 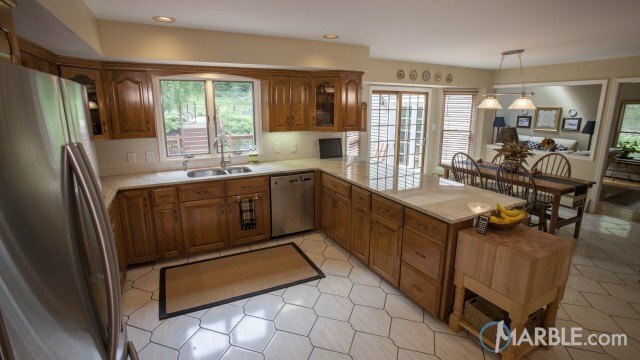 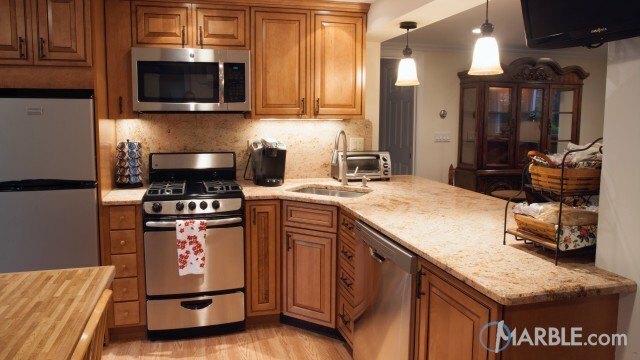 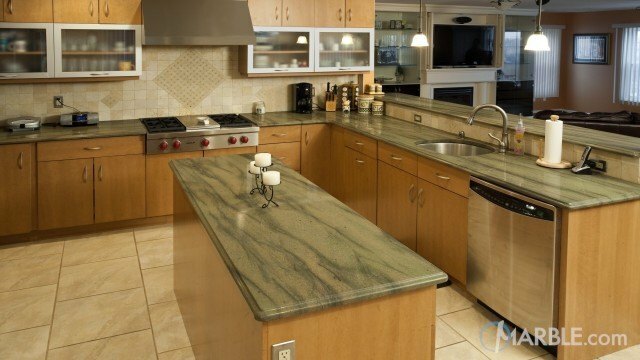 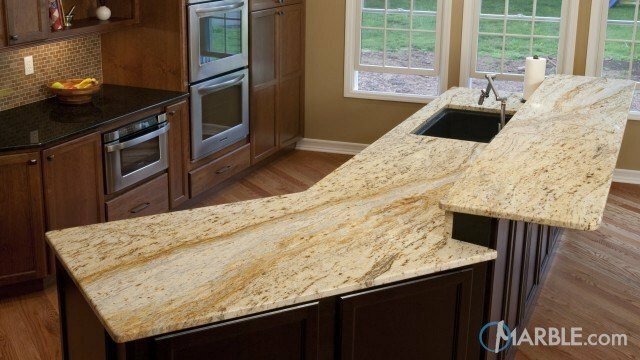 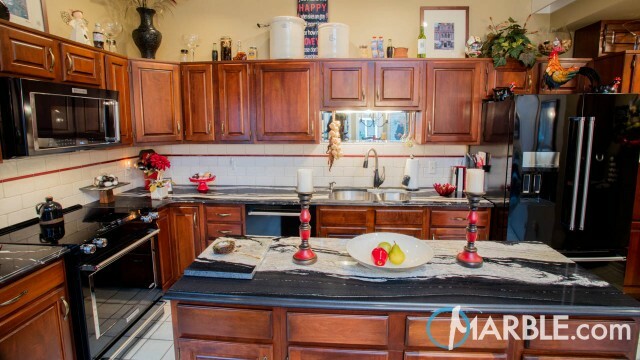 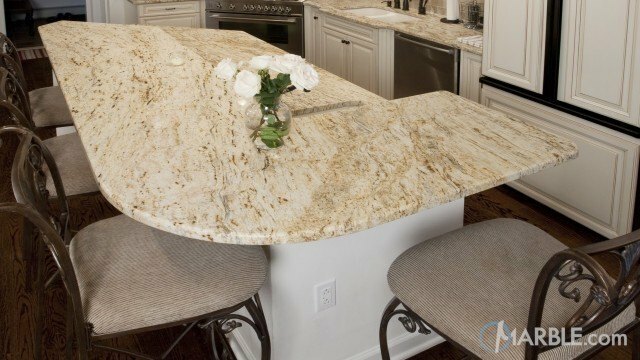 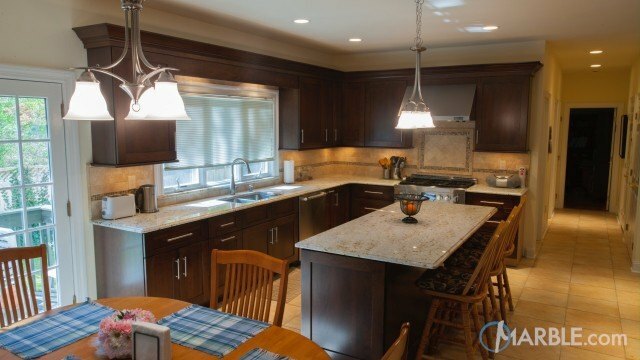 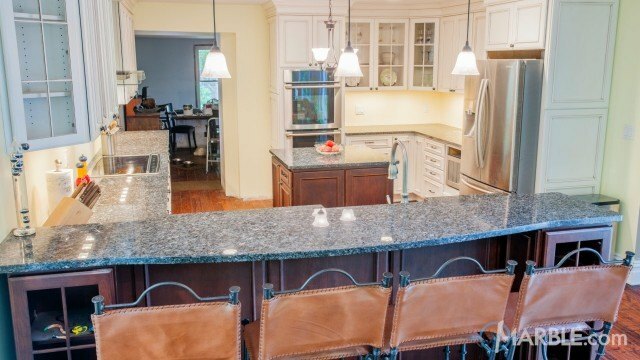 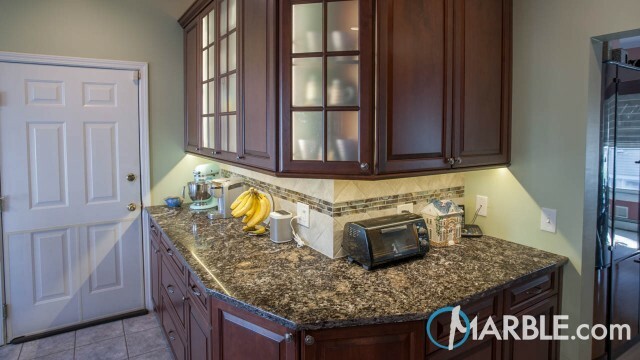 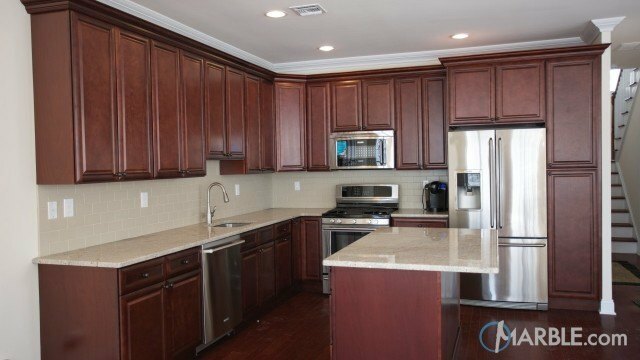 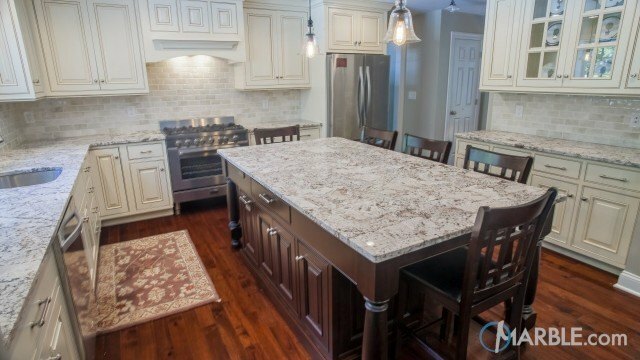 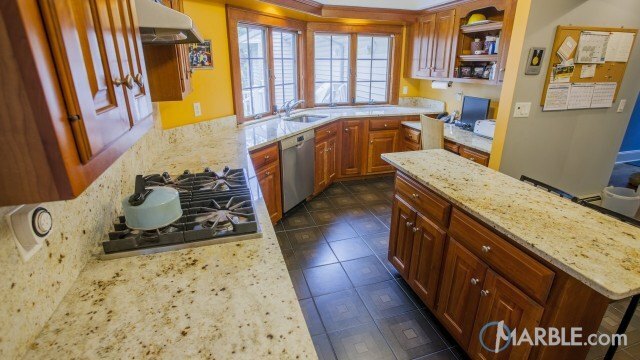 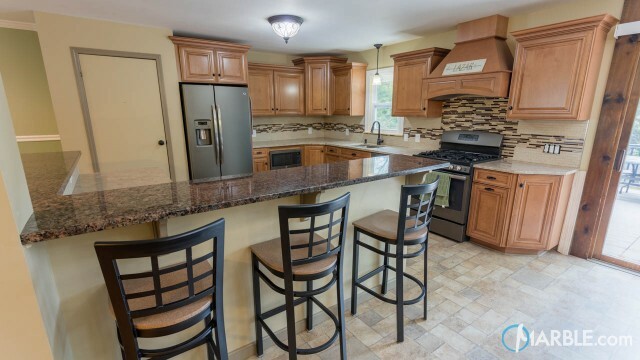 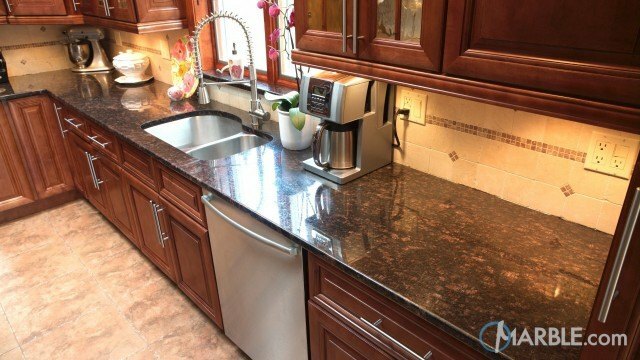 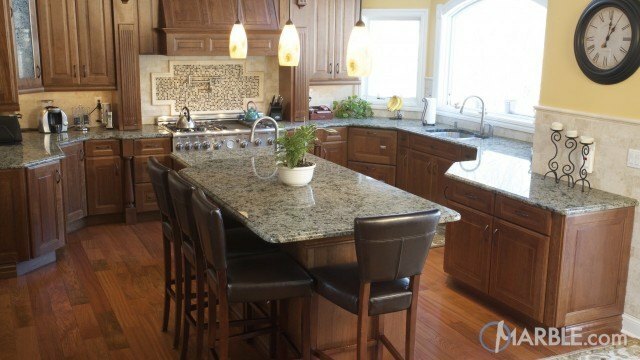 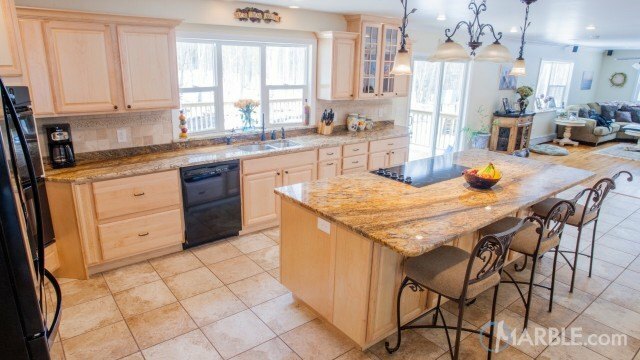 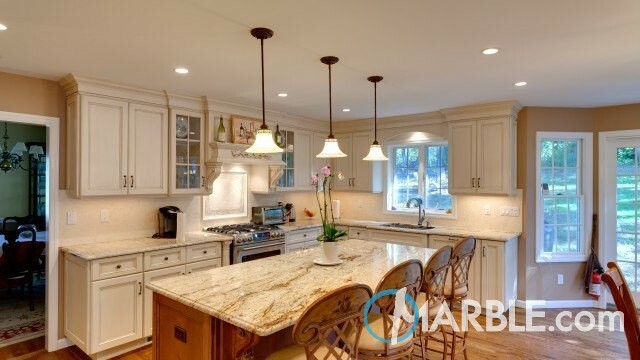 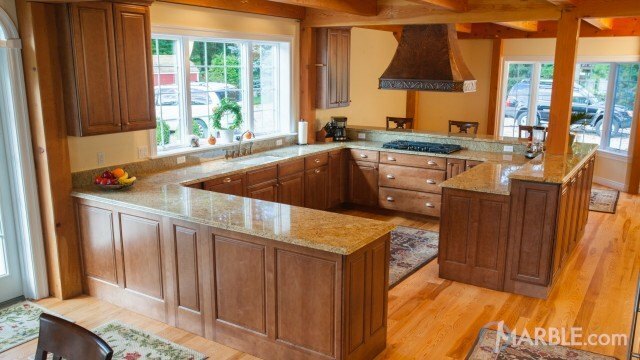 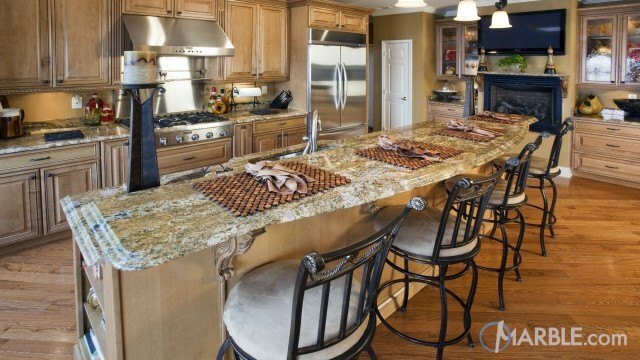 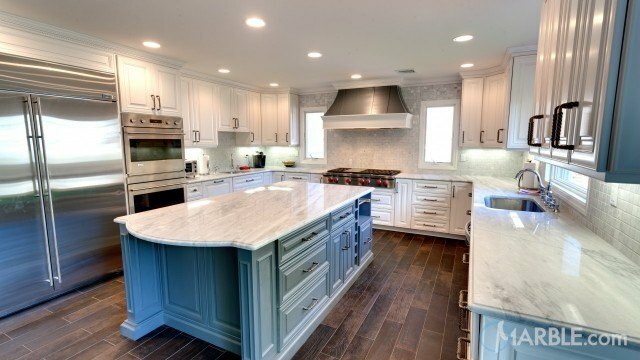 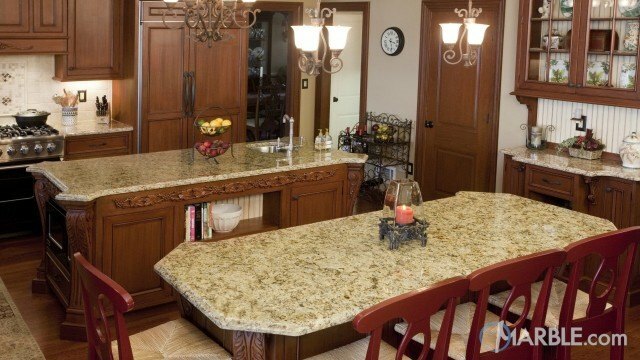 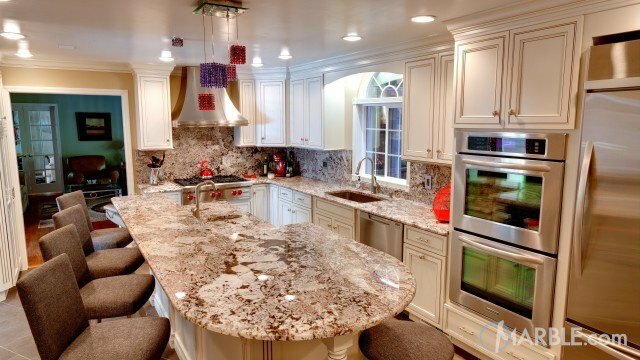 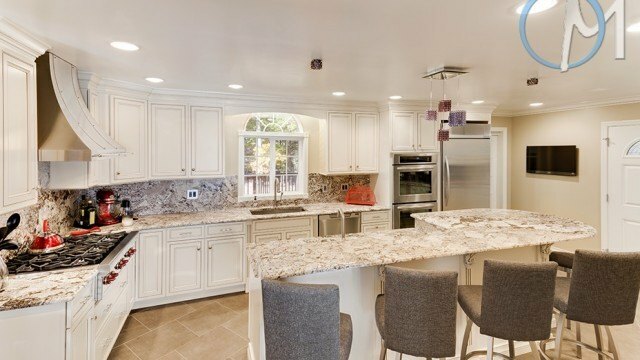 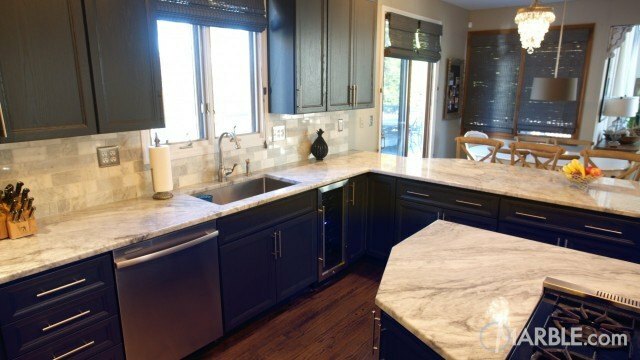 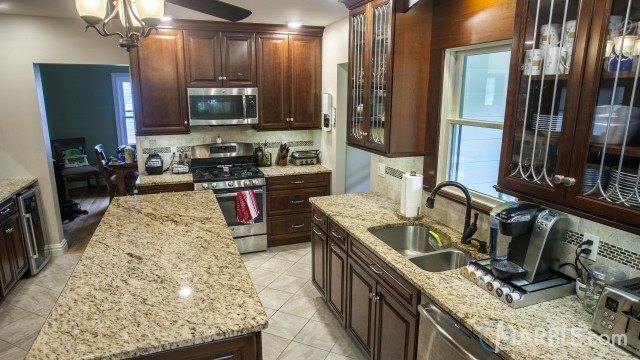 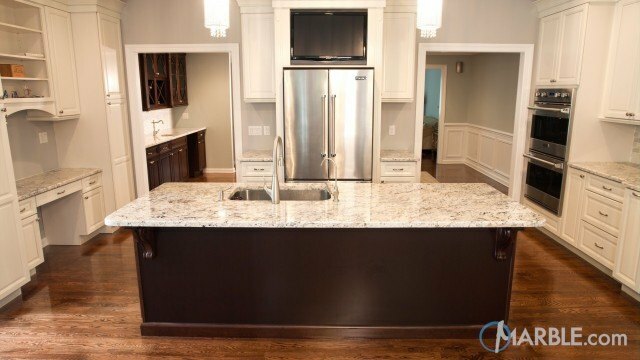 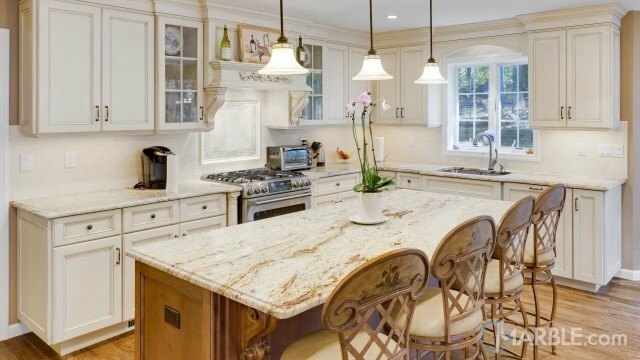 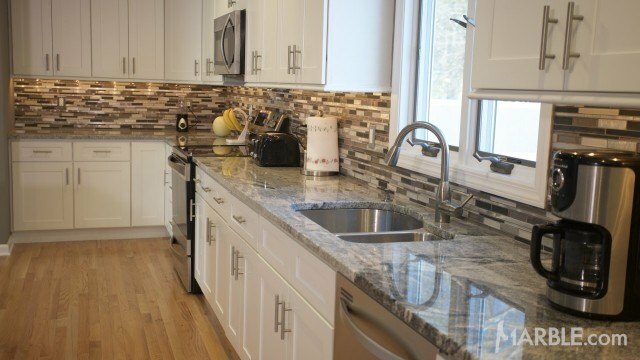 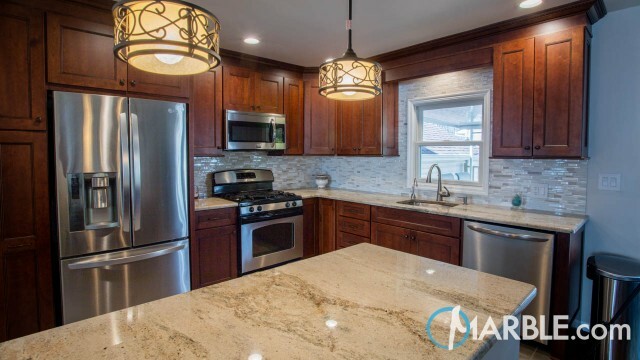 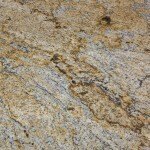 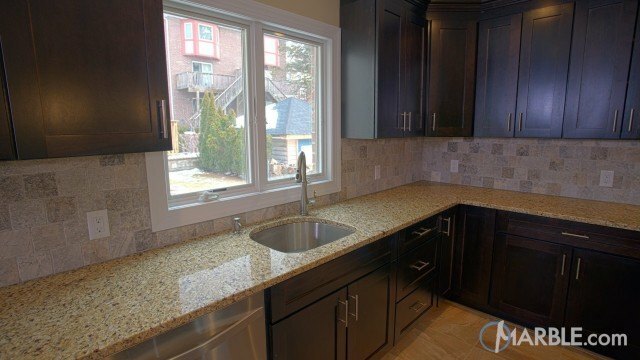 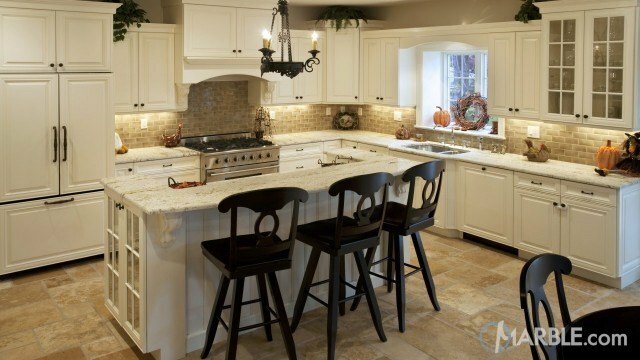 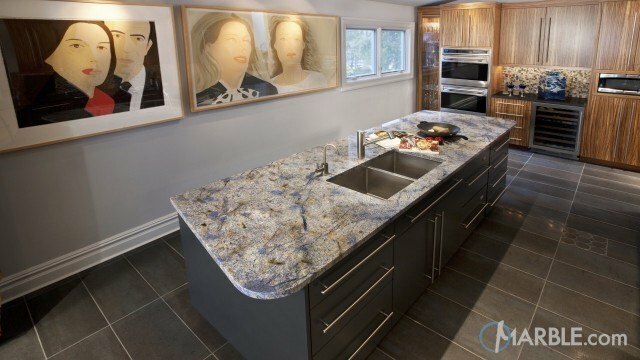 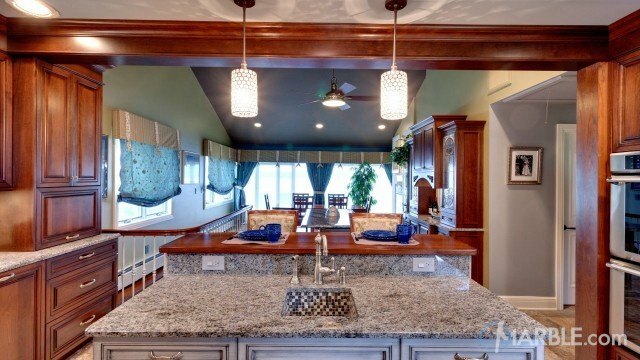 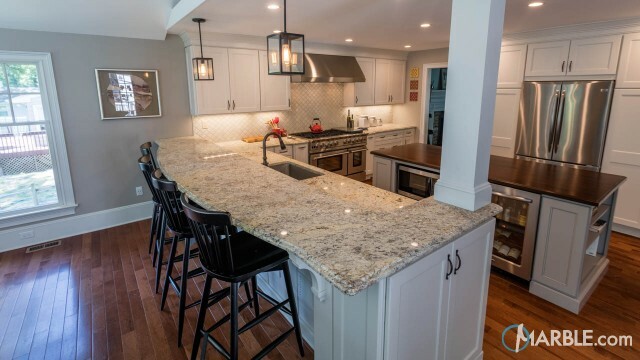 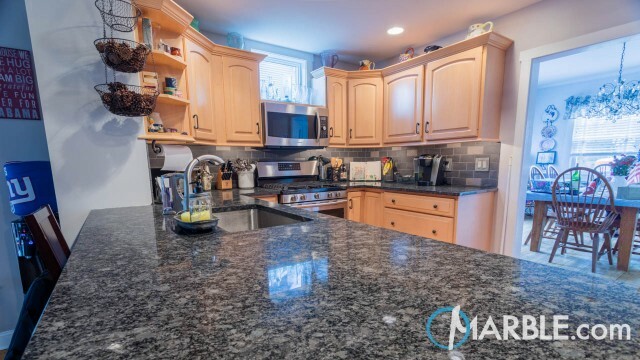 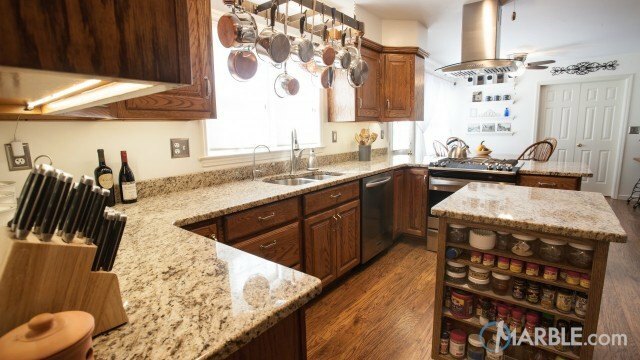 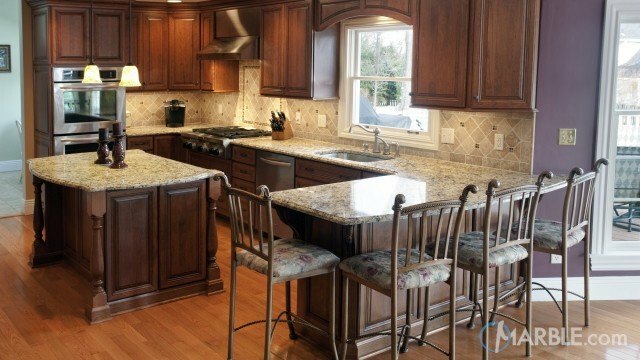 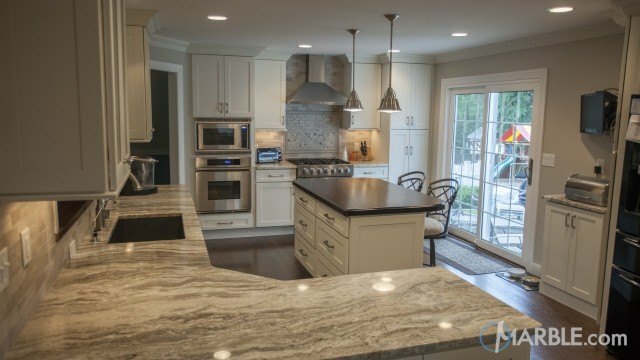 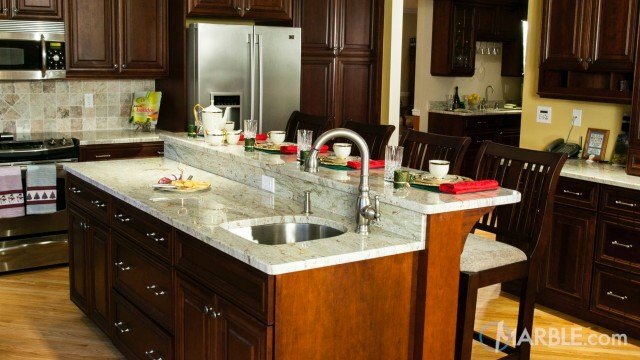 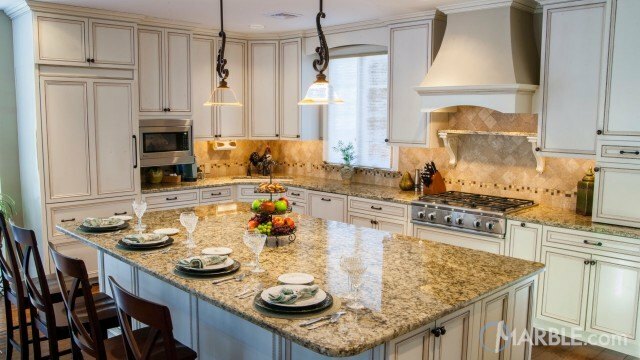 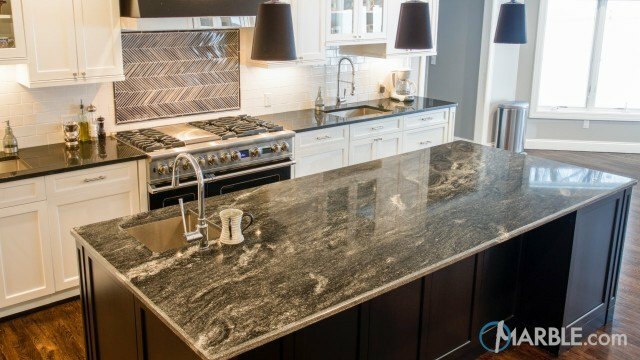 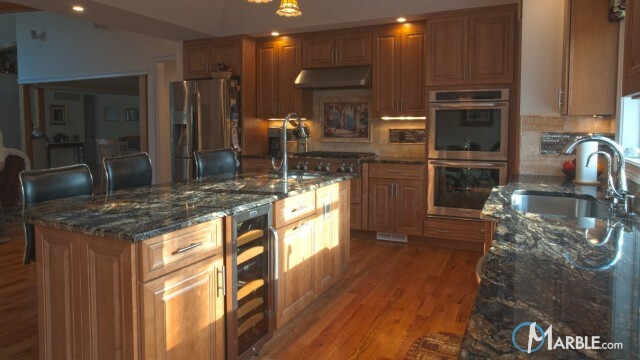 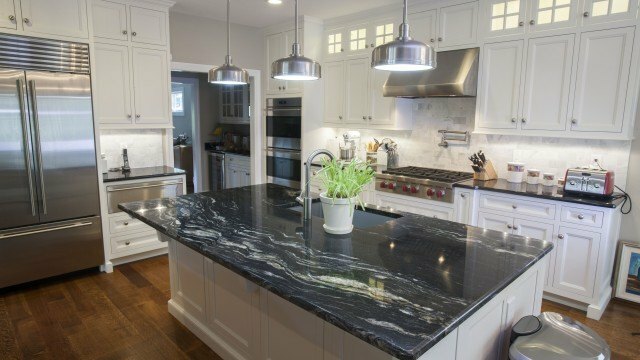 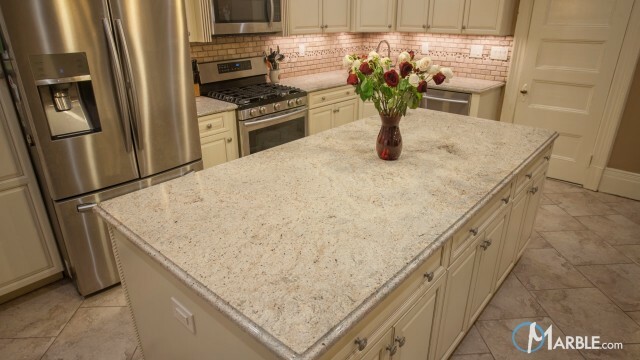 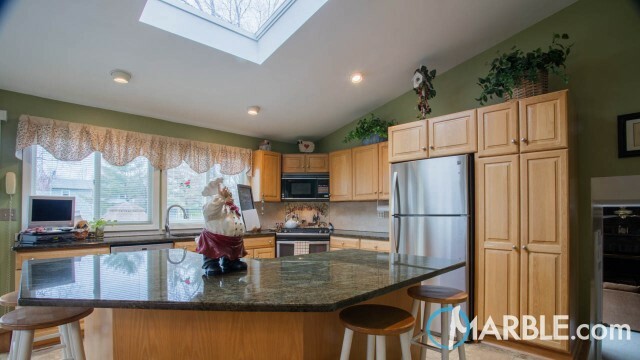 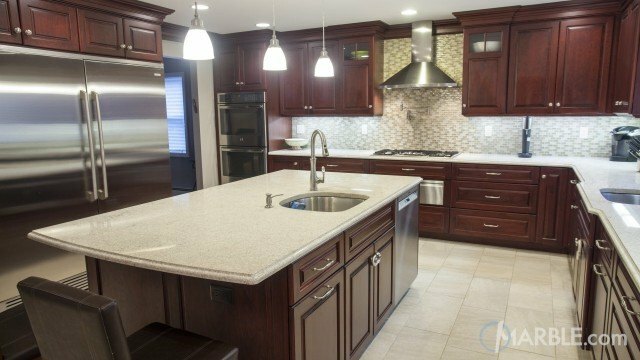 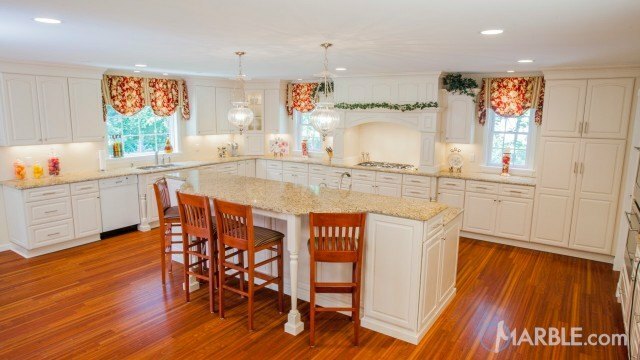 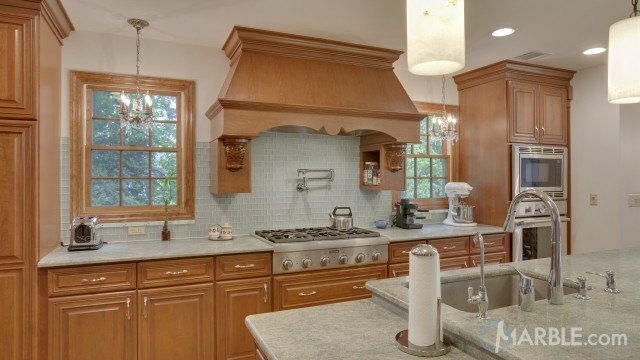 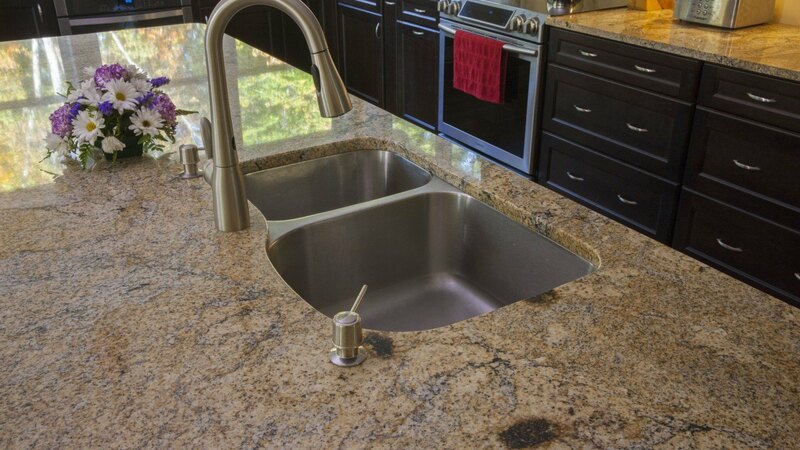 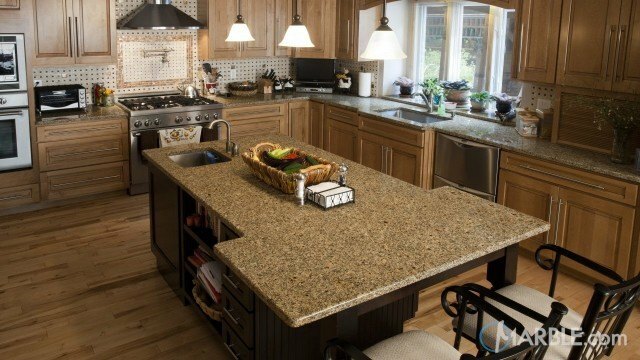 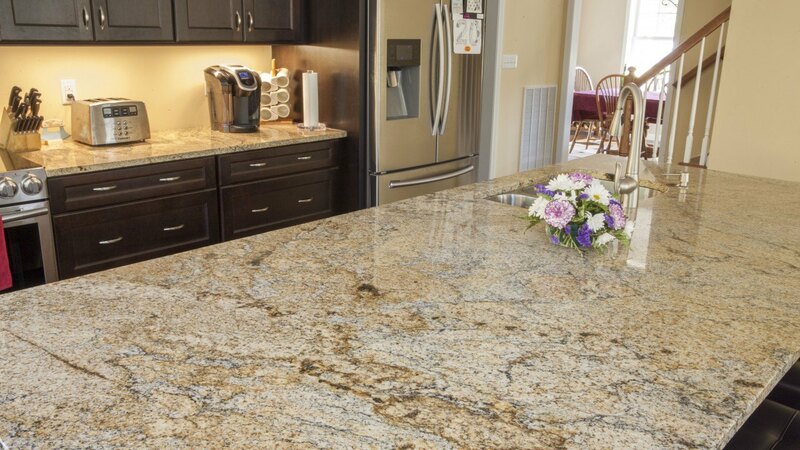 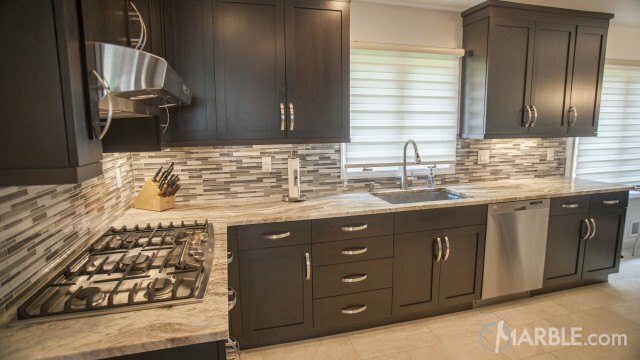 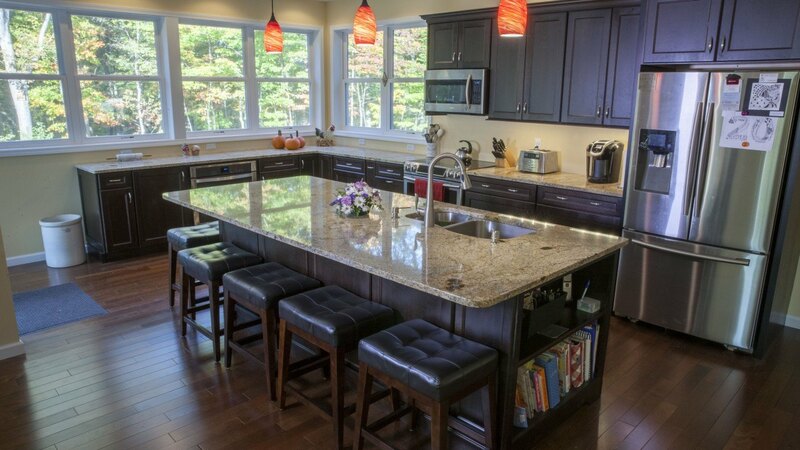 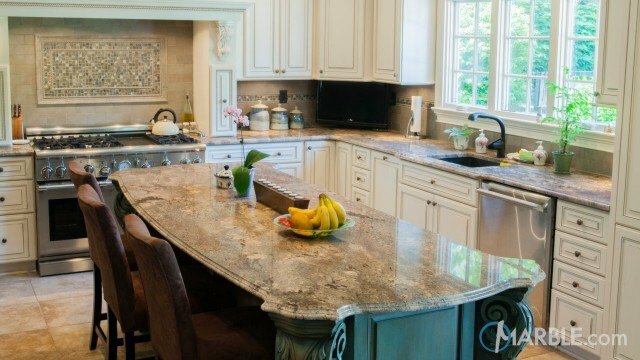 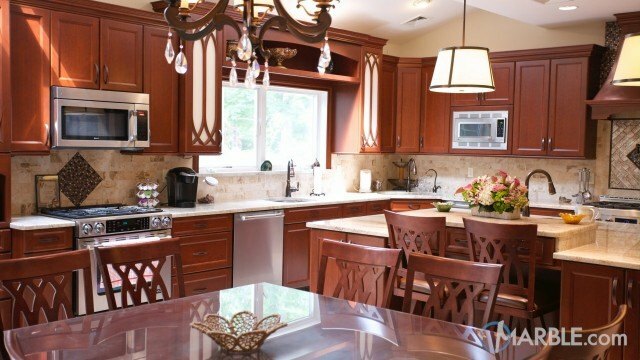 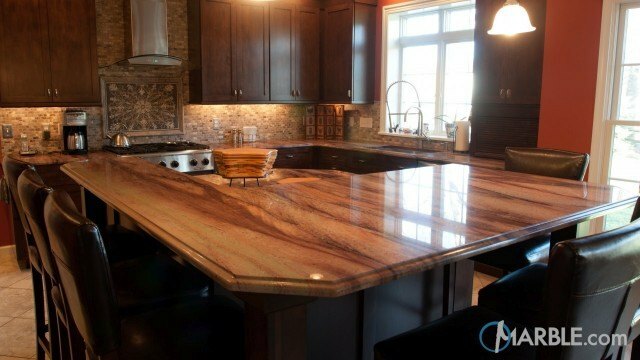 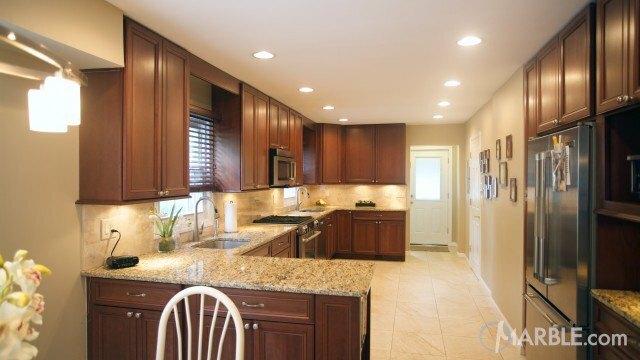 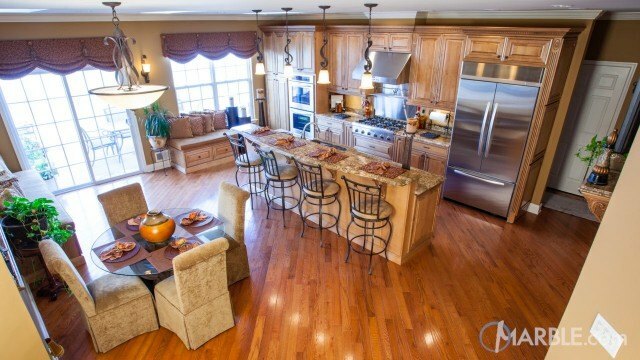 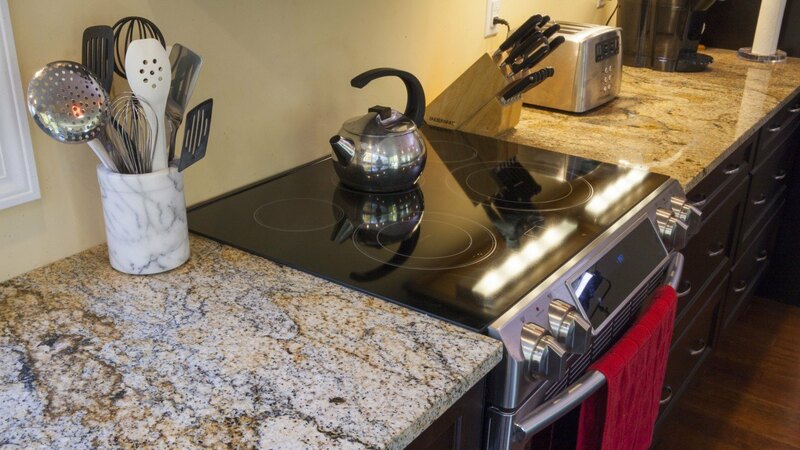 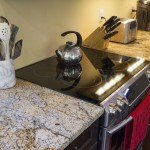 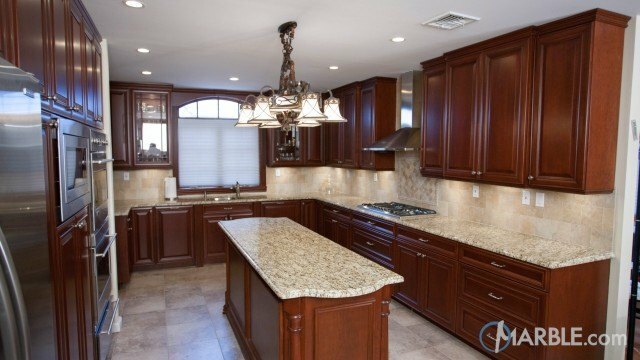 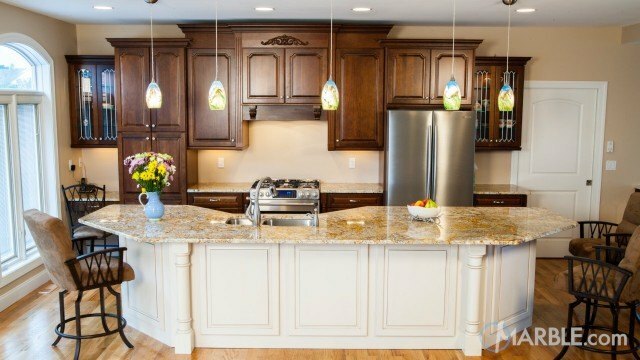 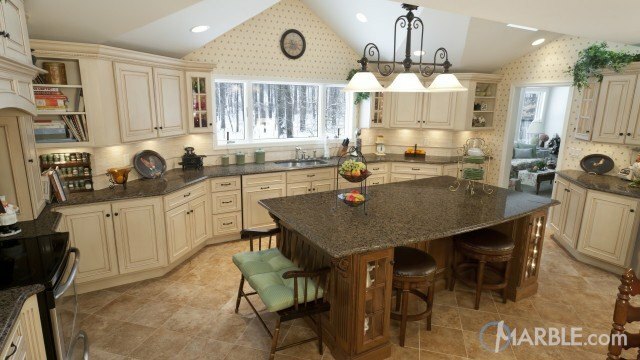 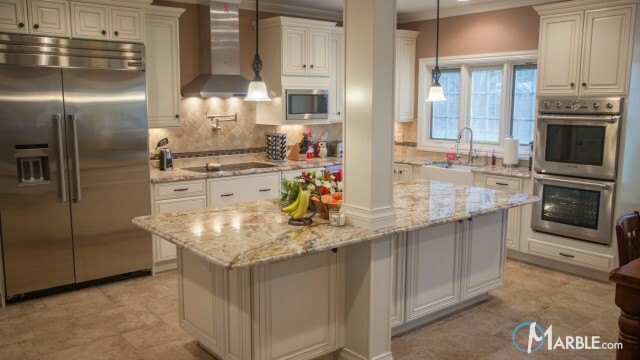 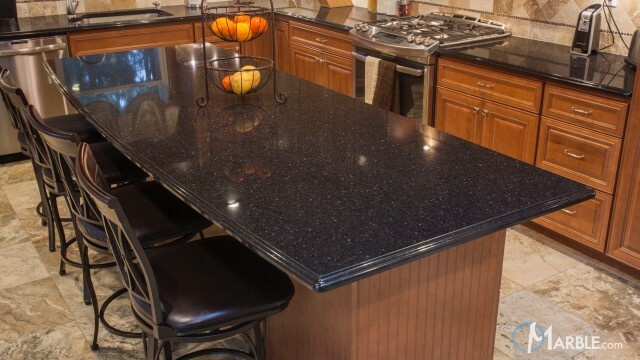 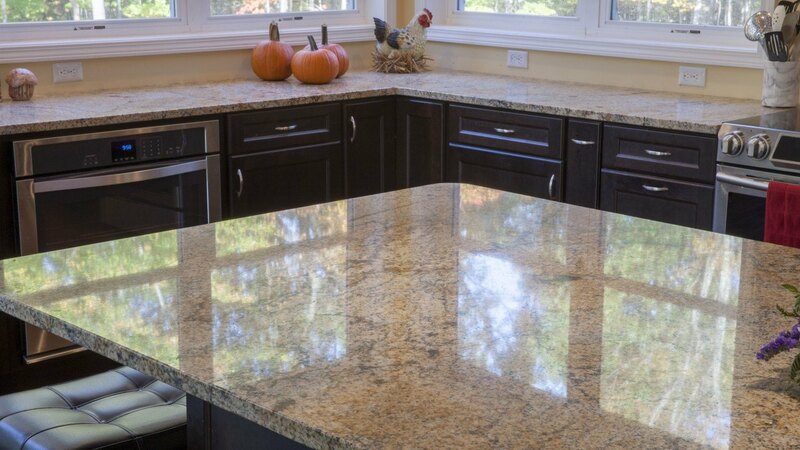 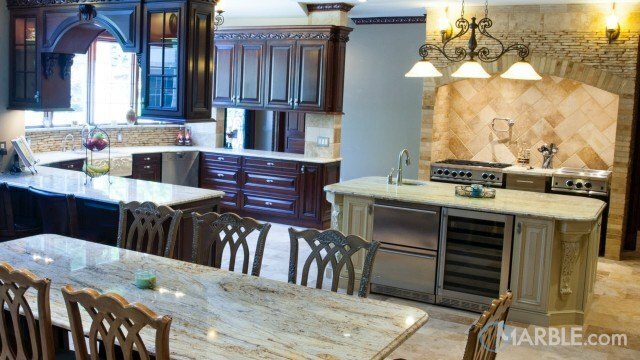 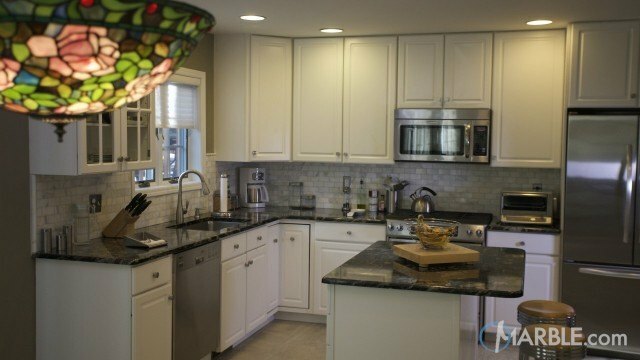 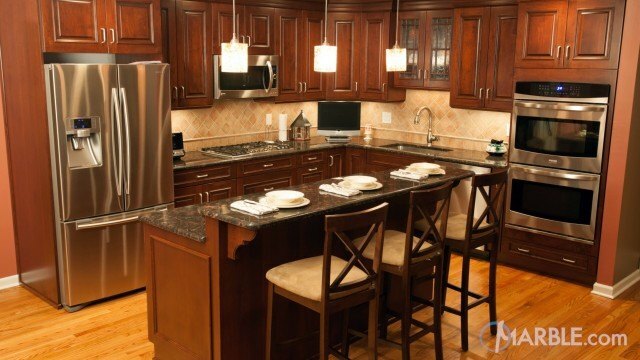 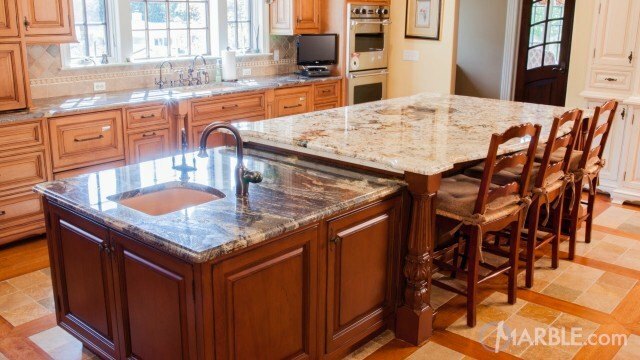 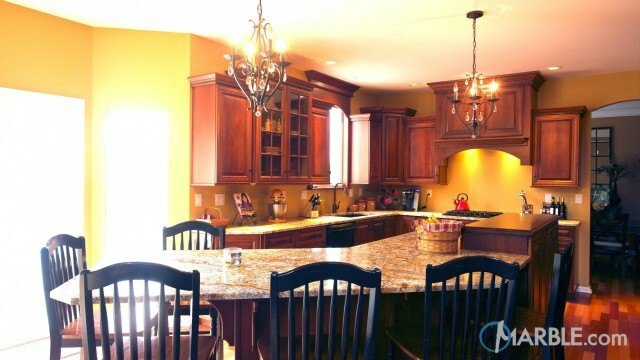 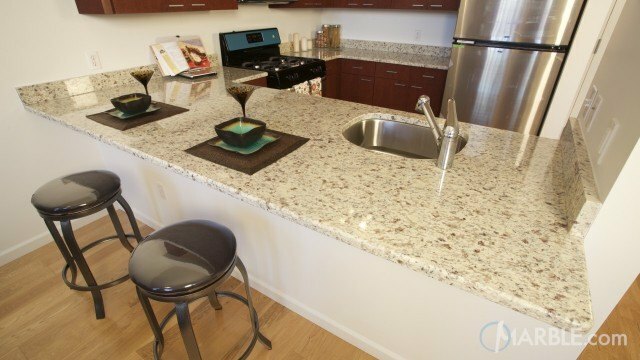 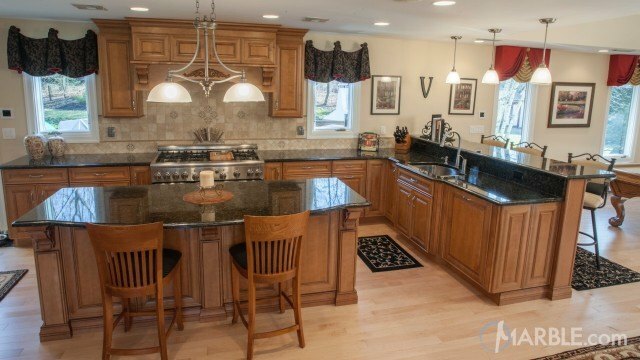 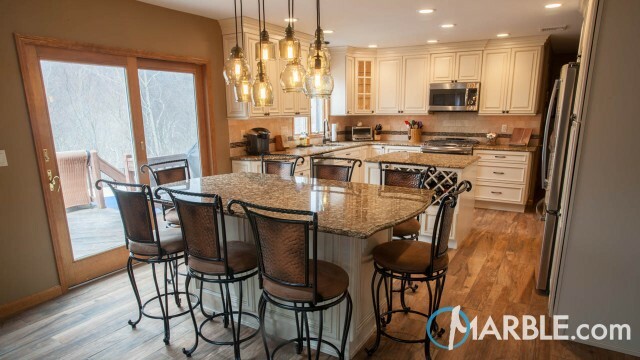 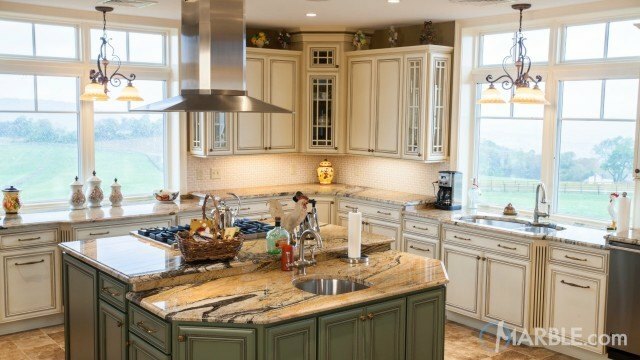 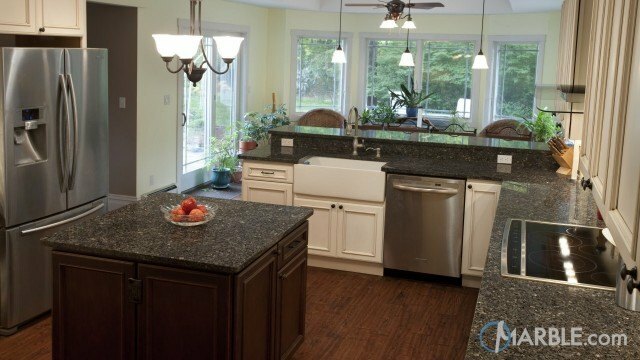 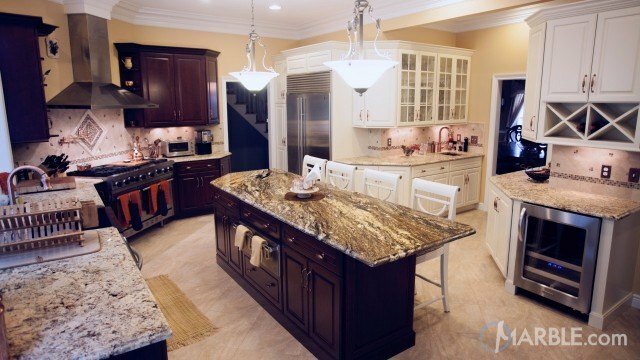 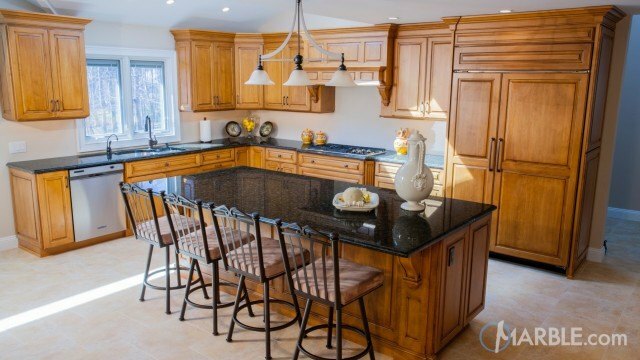 The focal point of this stunning kitchen is the Aurus Granite counter tops. 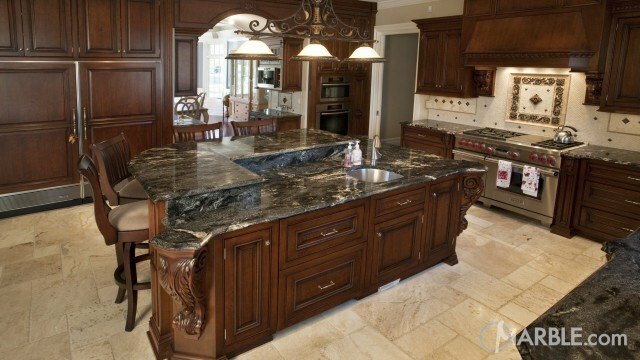 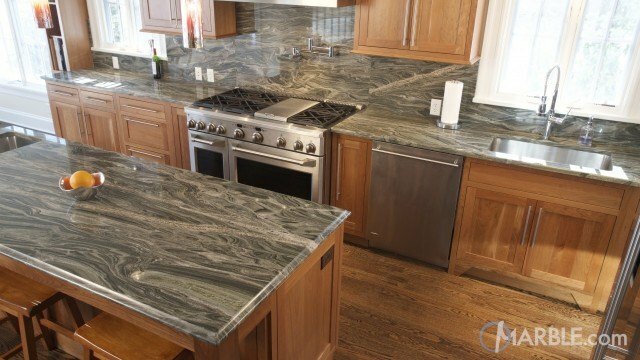 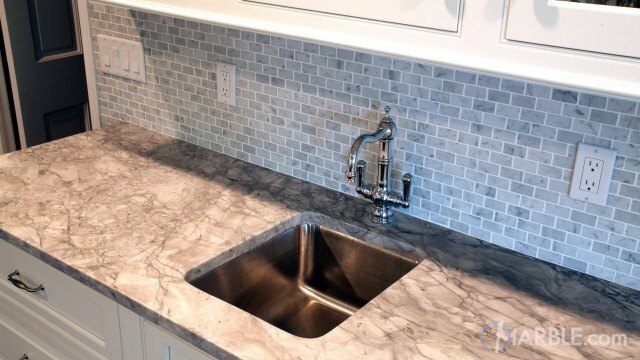 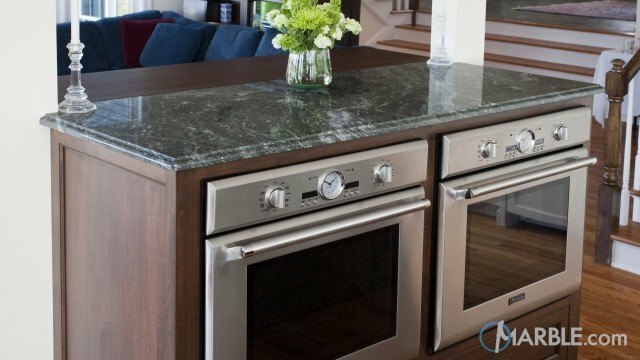 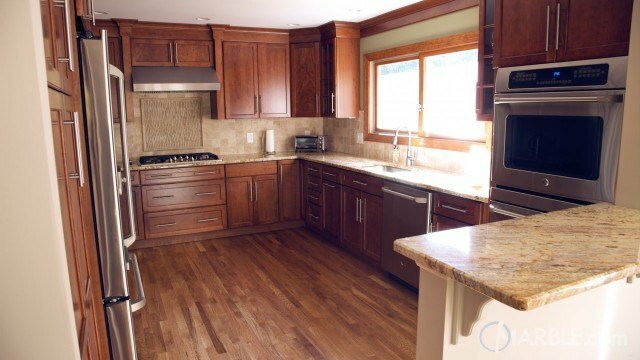 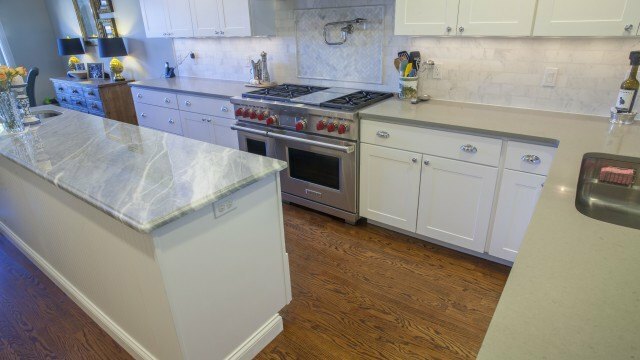 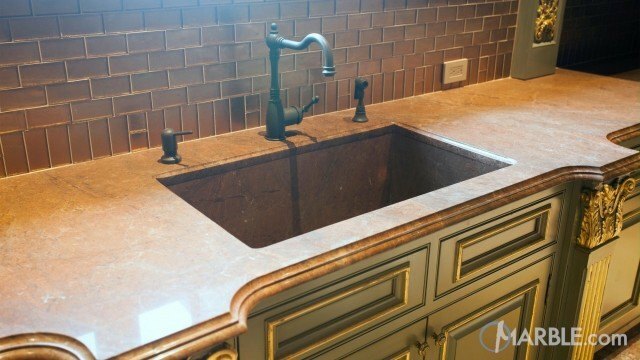 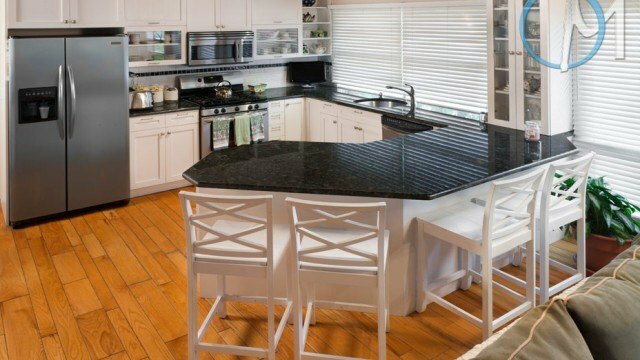 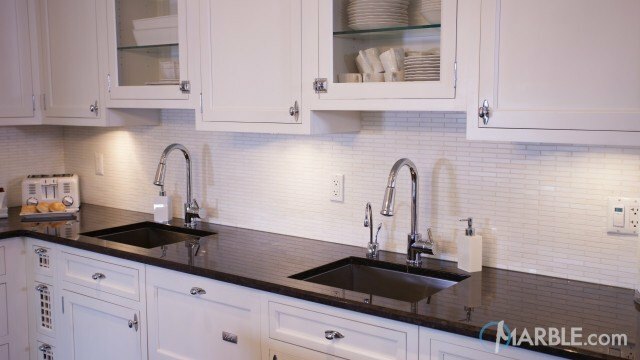 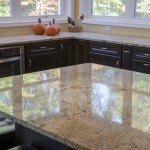 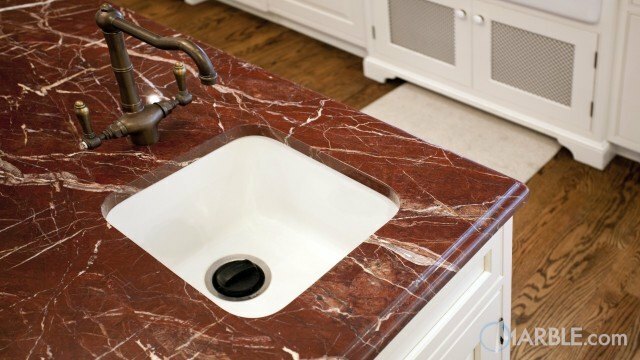 The dark wood floors and cabinets help to highlight the beauty of the natural stone. 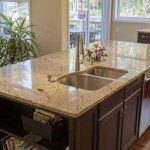 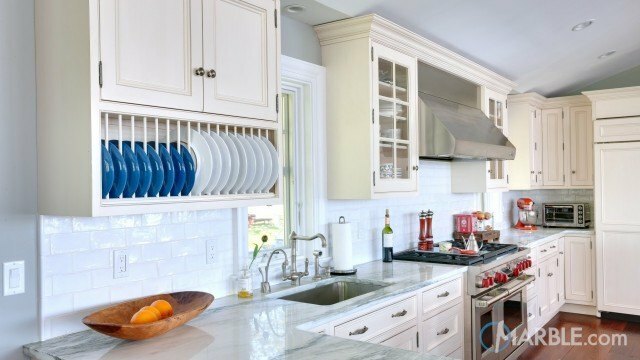 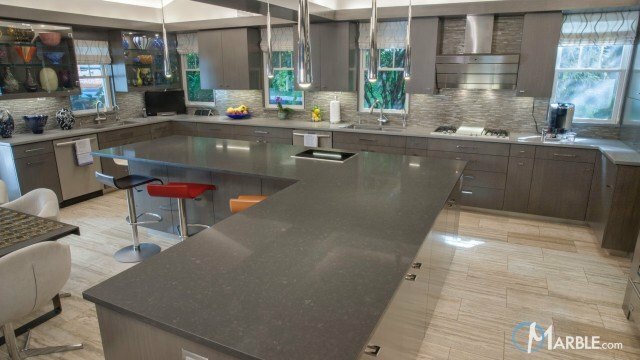 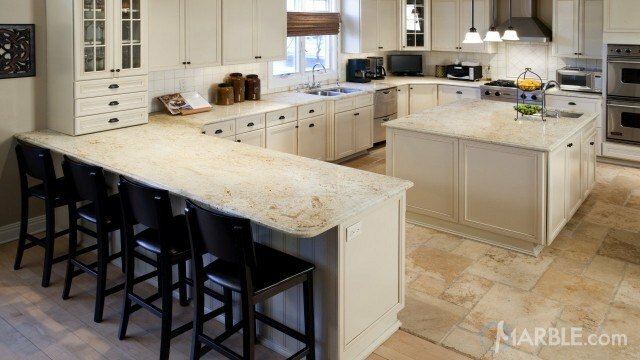 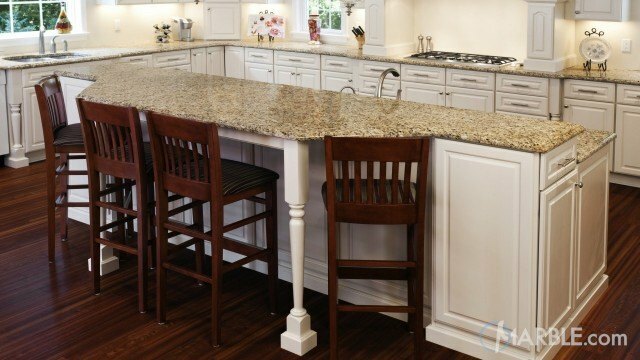 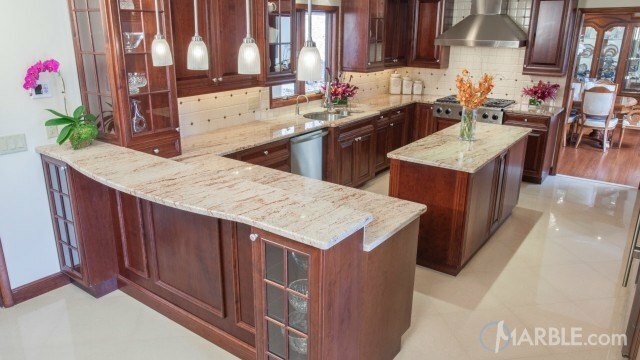 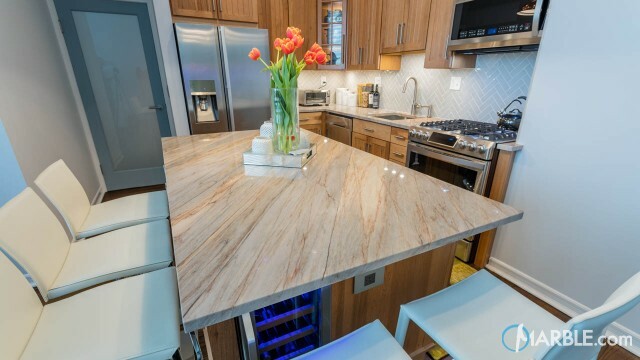 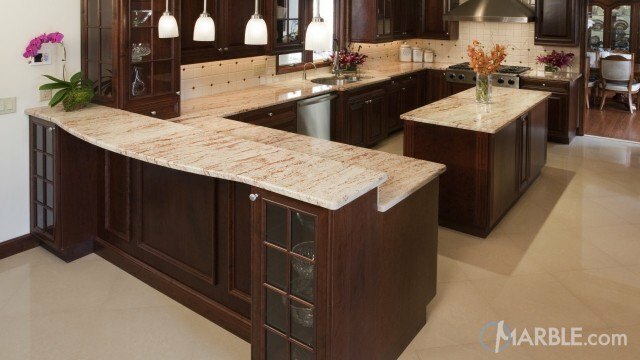 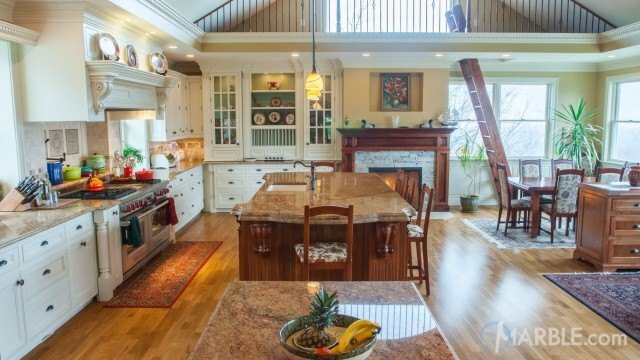 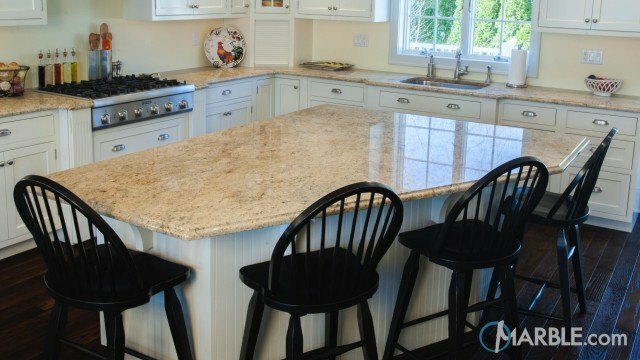 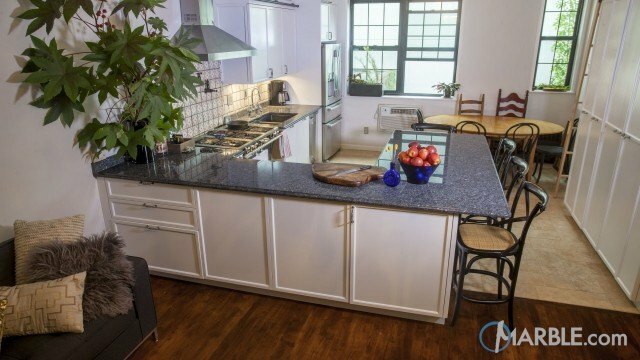 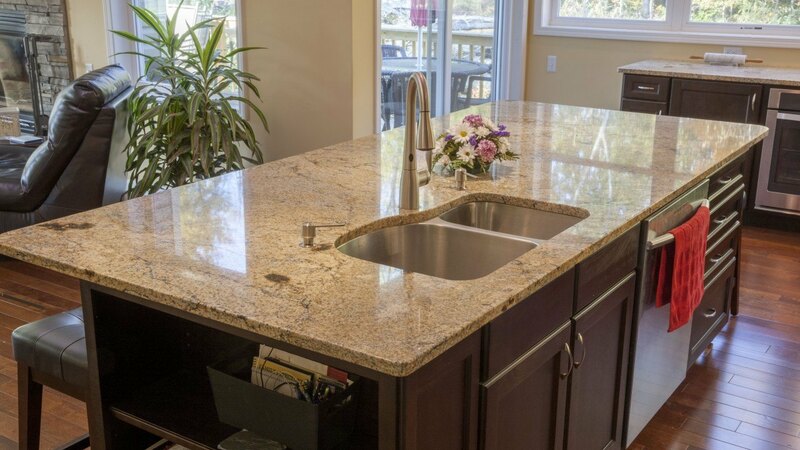 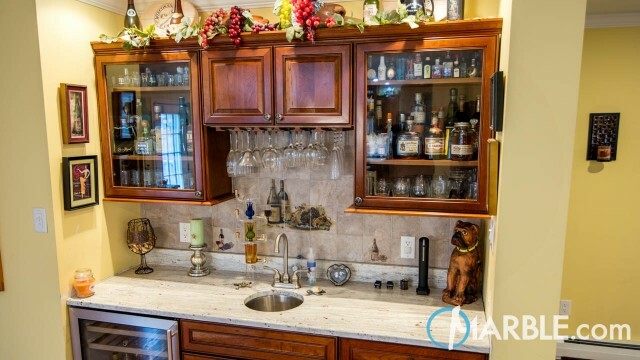 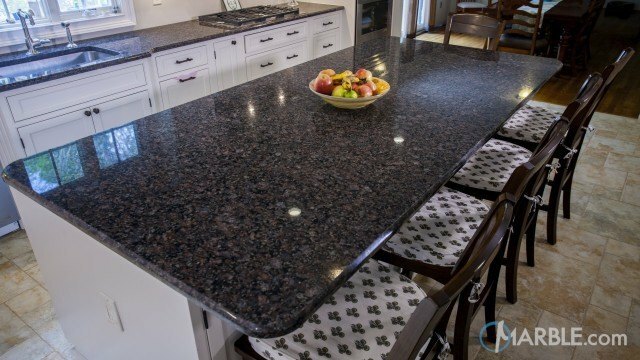 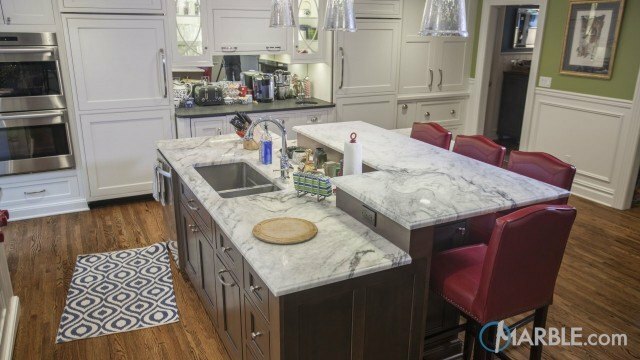 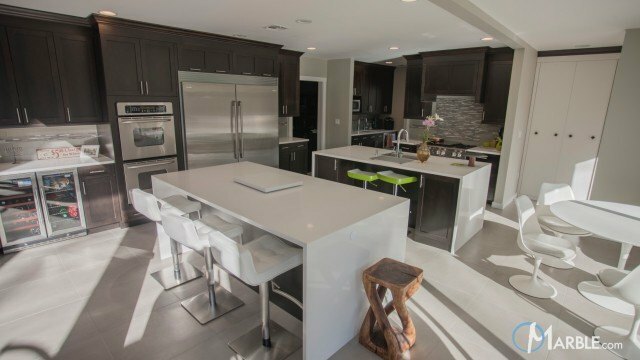 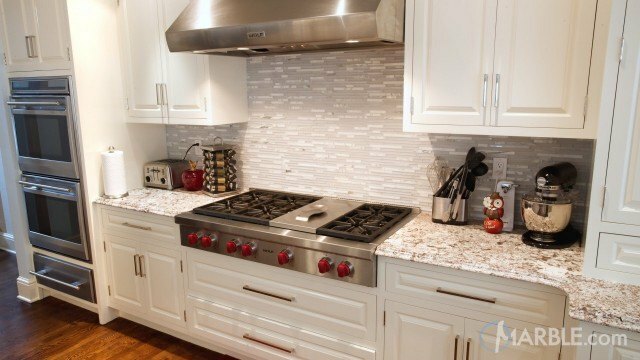 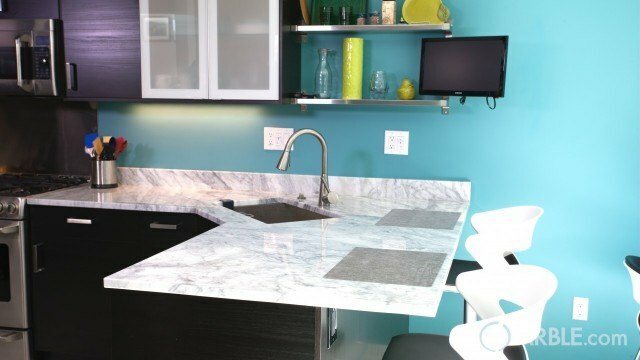 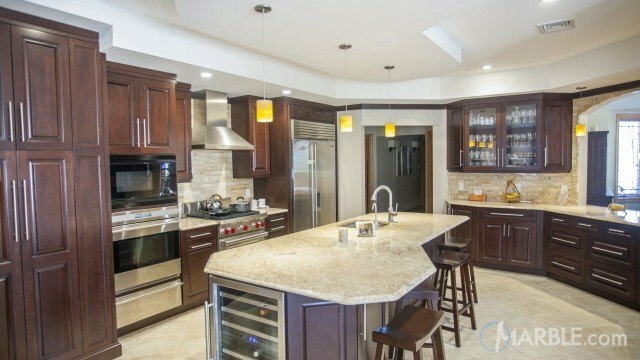 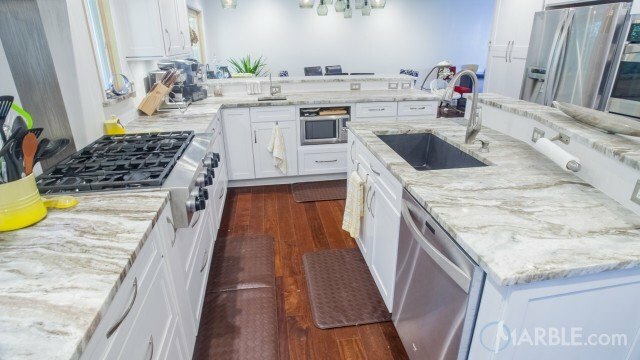 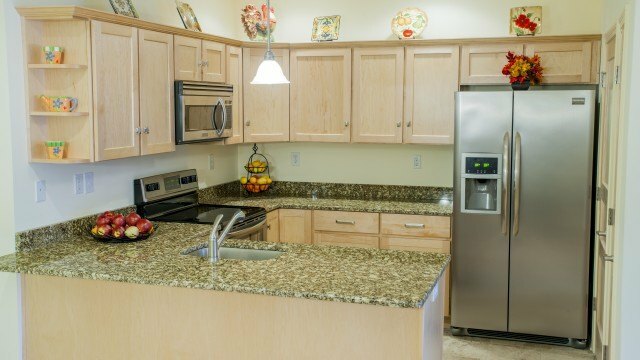 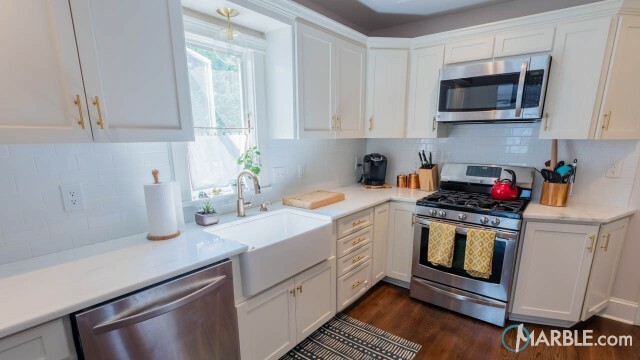 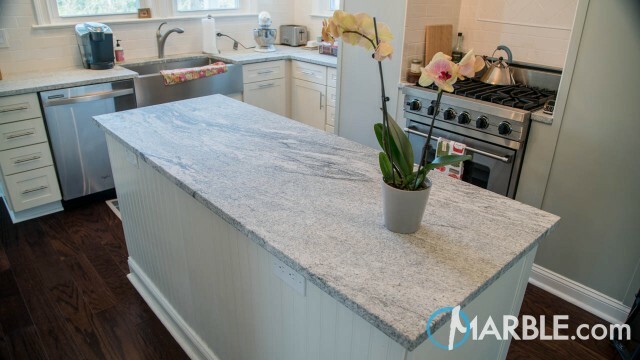 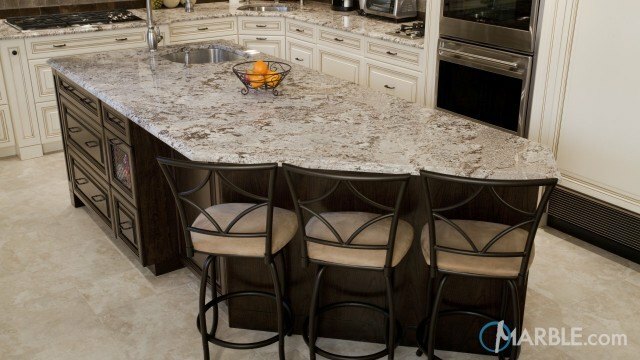 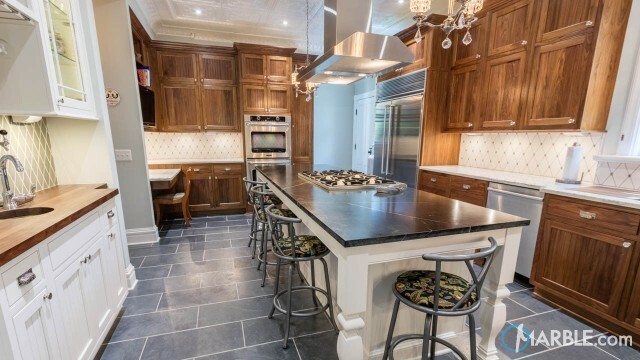 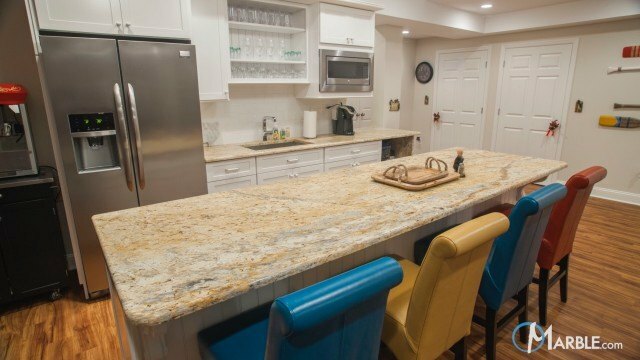 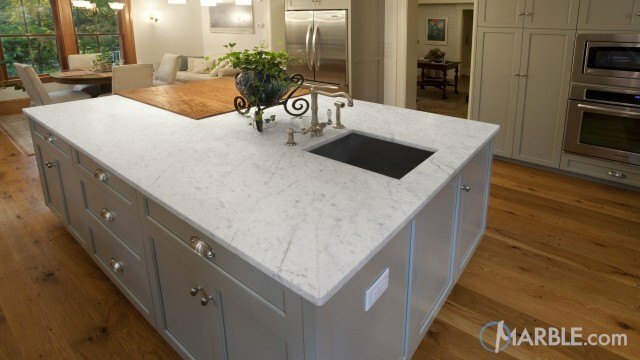 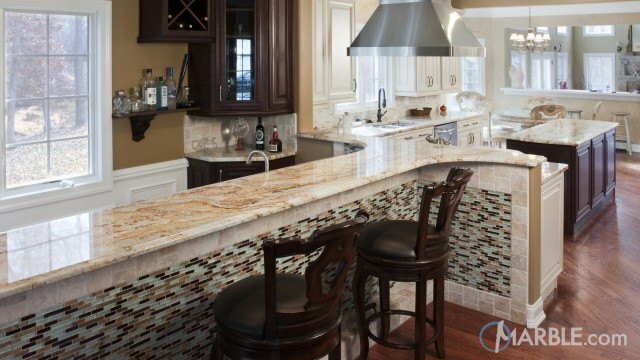 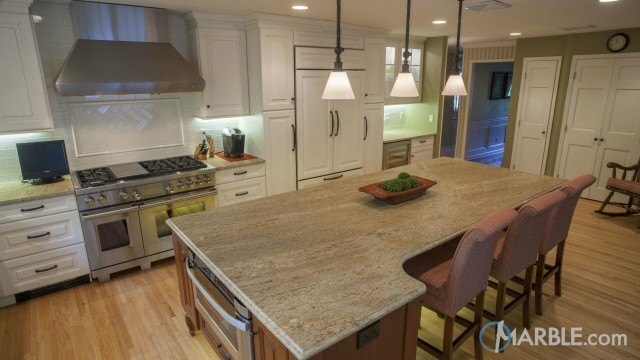 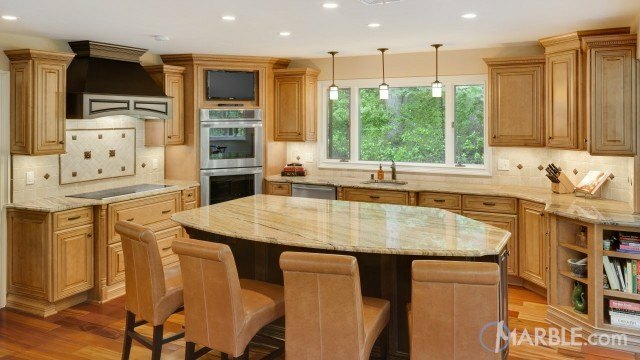 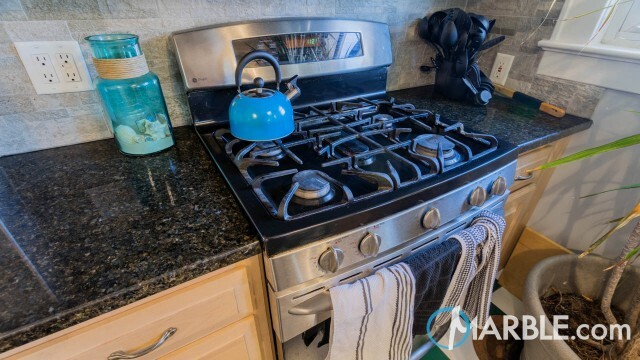 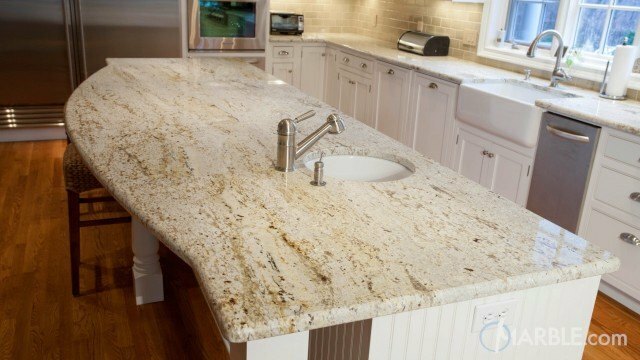 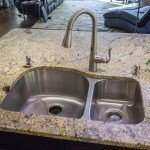 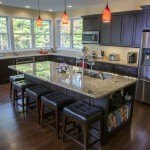 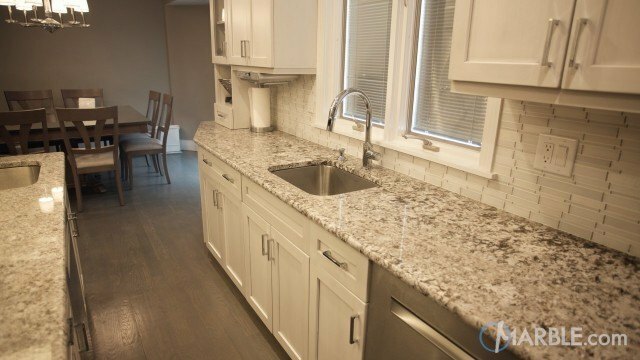 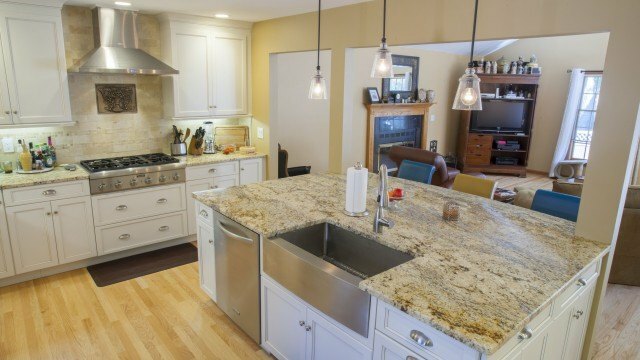 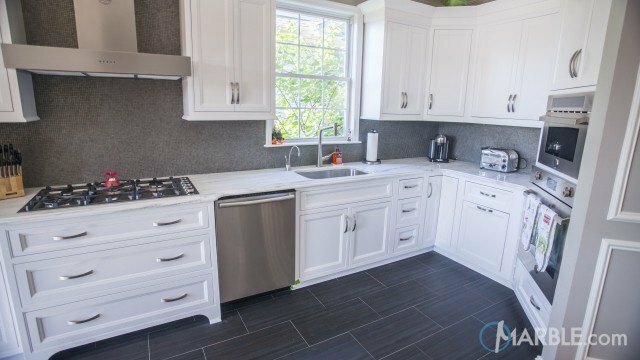 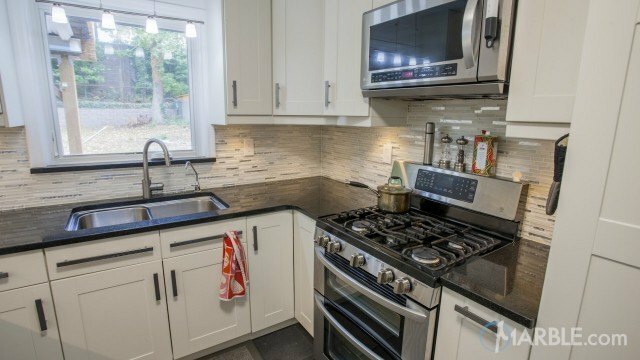 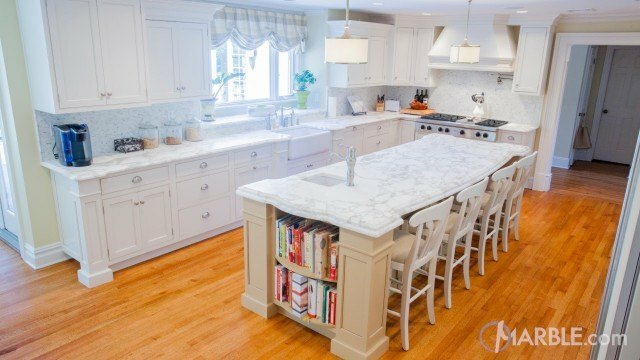 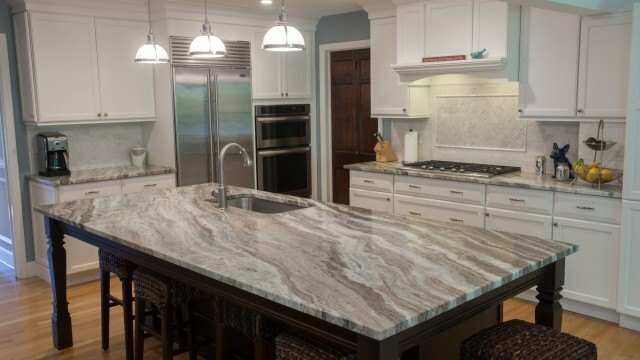 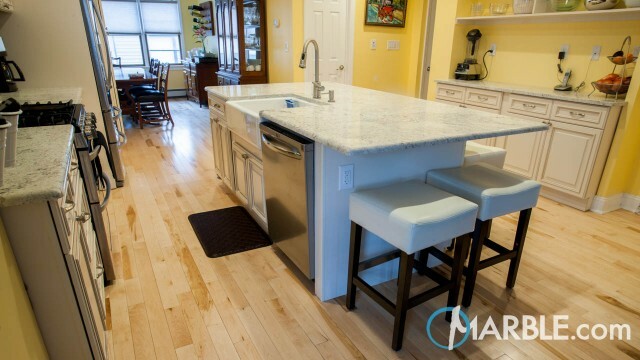 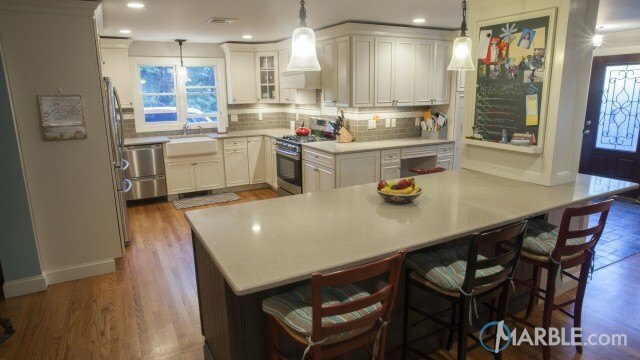 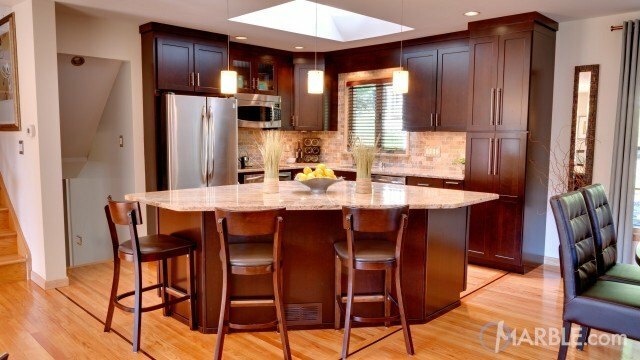 The island serves multiple functions: a preparation area, a serving area, a storage area and an entertaining space.